It took a while to find the perfect sport for Lucas to participate in. He tried football but would meltdown every time the team intercepted the ball because, no matter how many times we explained the rules, he was convinced they were cheating by taking the ball. Soccer games were spent running around the edges of the field, not even paying attention to the ball’s location. He tried karate as well but the rigid rules just weren’t a fit with Luke’s personality and trying to do the step-by-step katas that other kids were seeming to master so easily just frustrated him. His brain just couldn’t remind his body of the steps fast enough for him to perform the sequence of steps he needed to do. Eventually we found a few things that he could participate in that were perfect for him. He joined a boy’s hip-hop class (with an inclusion aide) where they slowly worked on one recital piece for most of the year and then spent the rest of the time learning dance moves that they were encouraged to be creative with. Luke joined a baseball team made for kids like him who can’t otherwise play baseball on a team and there are a lot of volunteers and parents on the field with the kids to help. He also discovered a love of gymnastics, which is more of an individual sport with teammates to cheer you on and involves the movement his body so desperately craves. We originally tried gymnastics at the park district (with an inclusion aide) but they spent most of the time every week waiting in a line to do somersaults and cartwheels. Lucas got bored easily and the waiting was difficult which led to behavior issues but we stuck it out because he loved the sport so much. When I learned about a Special Olympics gymnastics program that was starting up at a local gymnastics place I quickly signed him up. 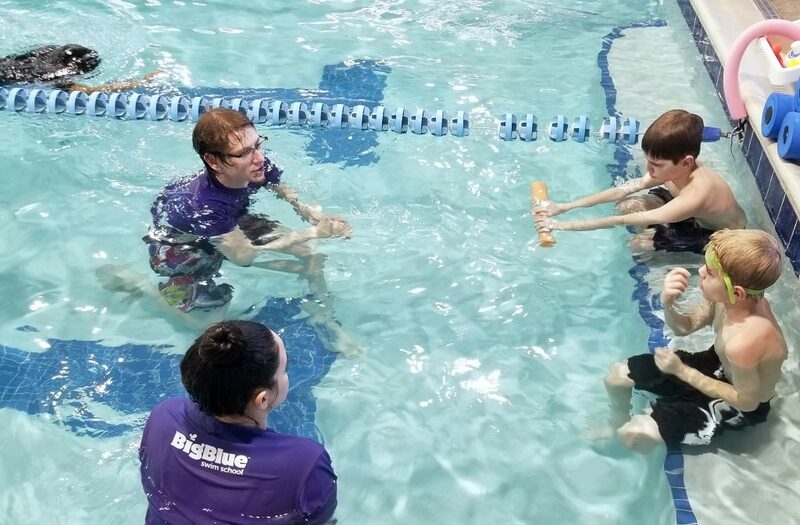 For years I wasn’t sure if Lucas was allowed to participate in Special Olympics because I didn’t know if Autism “qualified” but it turns out it’s based on the child and not necessarily any specific diagnosis. 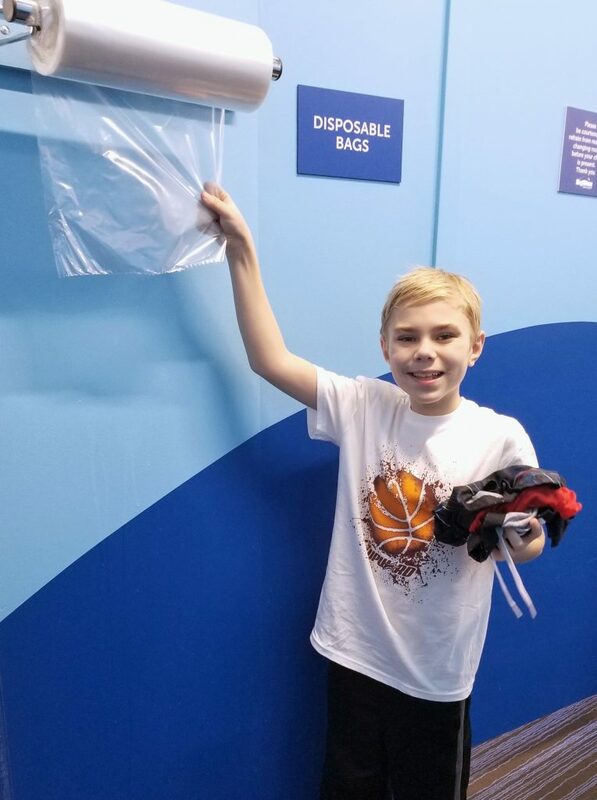 When Lucas first started on his Special Olympics team I searched online to learn more about what participating as a child who has Autism was like and there was nothing so that’s why I wanted to share a bit about my son’s experience and what I’ve observed. This is Luke’s second year participating in the Special Olympics. Last year he went to Regionals and the State competition and this year he participated in Regionals and will be headed to the State competition again over the summer for the Illinois Special Olympics “Summer Games”. He competed in only two events last year but this year is competing in all six events available for male gymnasts. I was a bundle of nerves the first competition he went to. Parents are not allowed on the gym floor during competition so I wouldn’t be near him if he needed me. Knowing that he typically melts down when he makes a mistake and with a crowd of people watching my biggest fear is that he would mess up, start yelling, and take off running. Sure enough it happened. He did the wrong jump during the vault event, realized it as soon as he landed, and ran out of the gym. Thankfully he has an awesome coach and staff that are wonderful with him and had learned, by that point in his first year, how to de-escalate the situation by helping him calm down. By the time I got from the upstairs viewing area and found them he had calmed down a bit but by the time he was ready to go back in his group had moved on to another event and he couldn’t do his second jump. I was dissapointed because that seems like something that should be allowed for those that need it. I understand the need to move on when there are a lot of participants that need to have a turn but letting the child go back later to finish the event should be an accomodation that is easy enough to make. I discovered that, in Special Olympics, all participants get some kind of reward. They have gold, silver, and bronze medals for the three who receive the highest scores in each event but then everyone else receives ribbons. Losing can be extremely difficult for those on the Autism Spectrum so it’s nice that everyone who participates feels like a winner. Some may not like this practice of participation awards but, in this instance especially, I think it’s important for these athletes to be encouraged and rewarded. They may not have won but they put in a lot of hard work! At this year’s Regionals event Lucas won 3 Gold and 4 Silver medals. You only need to receive one Gold medal in any event to move on to the State competion where you can then compete in everything (even if you didn’t receive a Gold medal in that event.) He is very excited and very proud of his medals. Just look at that bling! Overall, our experience with Special Olympics Illinois has been wonderful. I wasn’t sure what to expect but it’s been great for Lucas to be a part of. He has developed skill-wise, enjoyed being part of a team, and gained a lot of self-confidence. I’d love to connect with others who have loved ones that are interested in participating in the Special Olympics and am happy to answer questions you may have. You can chat with me on Twitter, Facebook, or Instagram. And along with your food bar you may want to put together one of these cute drink bars! 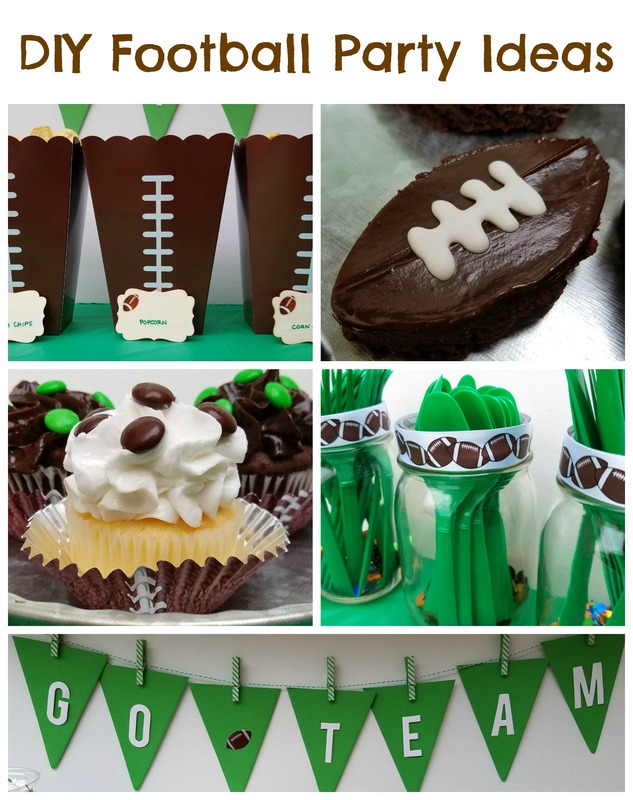 Other fun football party posts…. Hosting a last-minute party? 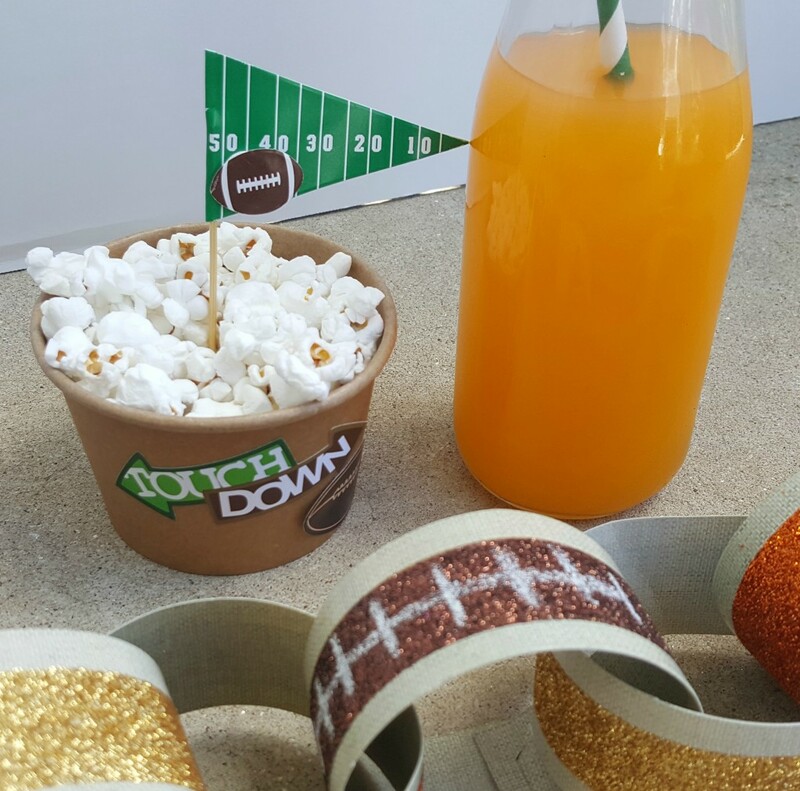 You’ll want to read these tips for hosting a simple football watching party. Every party needs some sweet treats and Finding Zest’s dessert table has lots of ideas you’ll want to grab! 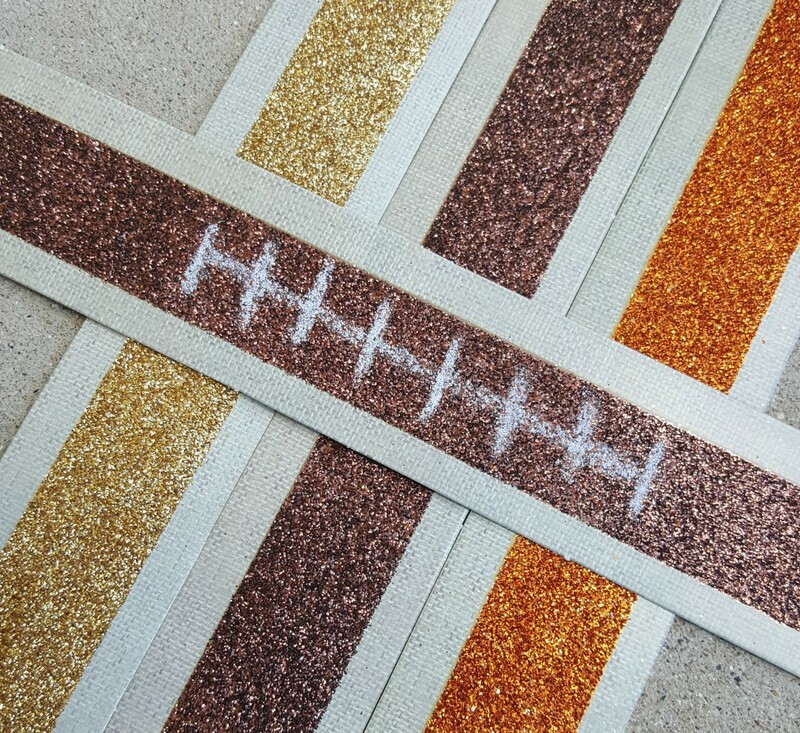 Decorate your front door with these easy DIY football rag wreath. 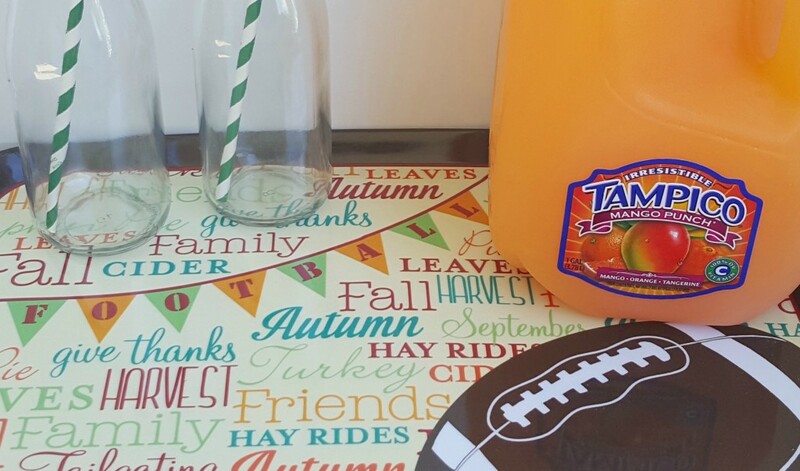 Grab this printable game day banner from Crayons & Cravings to hang above your food bar table. She also has printable football cups to put your food in. Still figuring out what to wear for the big game? Show off your love of football with my “I love football” t-shirt tutorial (plus learn why I love the game so much). Have little ones? 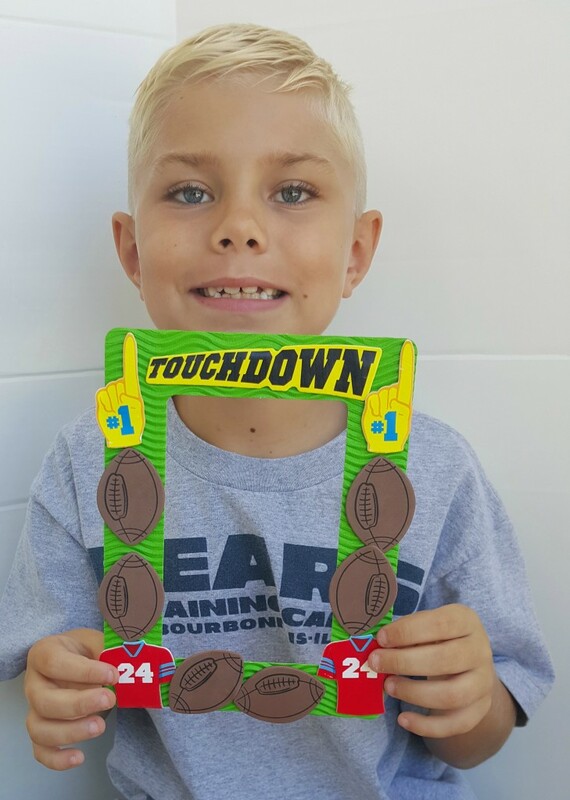 Keep kids busy during the game by letting them help make football decorations. This is a sponsored post but all thoughts are my own. I know it’s not even February but it’s time to start thinking about summer camp! One of the best things I’ve done for my oldest, who plays league soccer during the winter and spring seasons, is enroll him in Challenger Sports’ soccer camp every summer to help him develop his skills. The camp is one of his favorite weeks of summer! 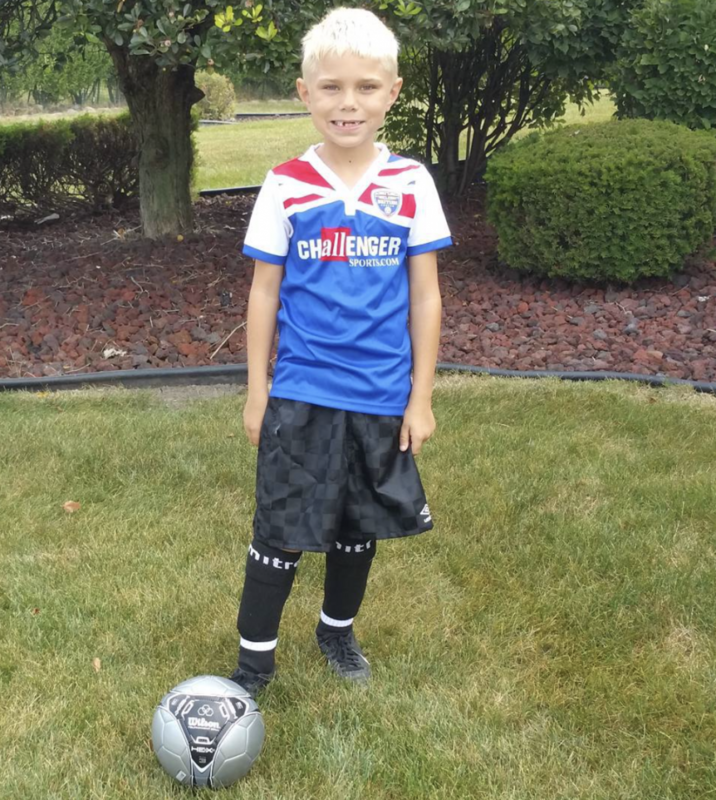 In the past Jacob has participated in their British Soccer Camp but this year, Challenger Sports has launched a brand new soccer camp that combines the most popular elements of their two camp programs, British Soccer and TetraBrazil. The all new Challenger International Soccer Camp will offer instructional camp programs for each age/ability level! The TinyTykes program will provide 3-5 year olds with fundamental soccer activities, games, and stories, designed to enhance technical skills along with physical and social development. The Half Day Camp for 6-16 year olds is the most popular program and will provide 3 hours of skill development, games, challenges and competition each day. Want to see if there is a program near you? Check out the list of locations and learn more about this camp here. Register now for Challenger’s International Soccer camp and get a free international ball, t-shirt, poster, skills evaluation and new downloadable coaching app & 20 skills videos! Register 30 days before camp and qualify for a free International Game Jersey! For sports loving families there is no better way to spend the weekend than watching sports together. While most games are spent home around the television it’s fun to get out and actually go to a game to enjoy the fun in person. Today I wanted to share some essentials for parents who want to take their kids tailgating with them. Living in Chicago means we never know what to expect during football season. It can be a warm day or it can be downright frigid like the last Bears game I went to. Because of this it’s important to check the weather and make sure you pack whatever weather appropriate gear you need from blankets and hand-warmers to ponchos to sun screen and hand-held fans. I’ve learned that anytime we have outdoor activities, if the children are either too hot or too cold, they won’t enjoy the day no matter what we are doing. 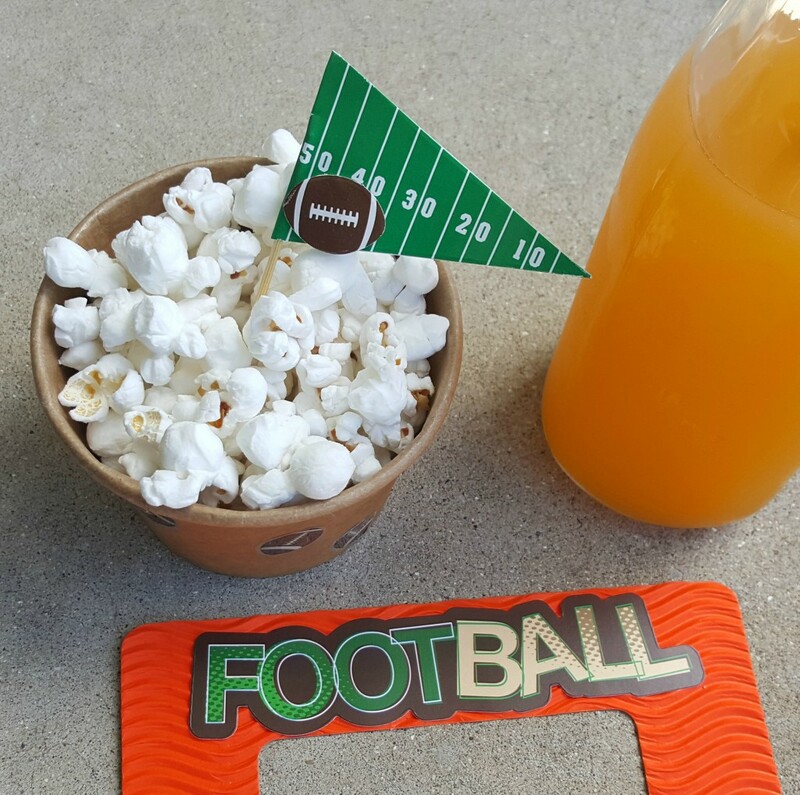 I tend to go all out when I decorate for football season but when you are tailgating you’ll want to keep it simple. A disposable football themed tablecloth and tableware are perfect. You can even add a banner if you want to decorate your tailgate. 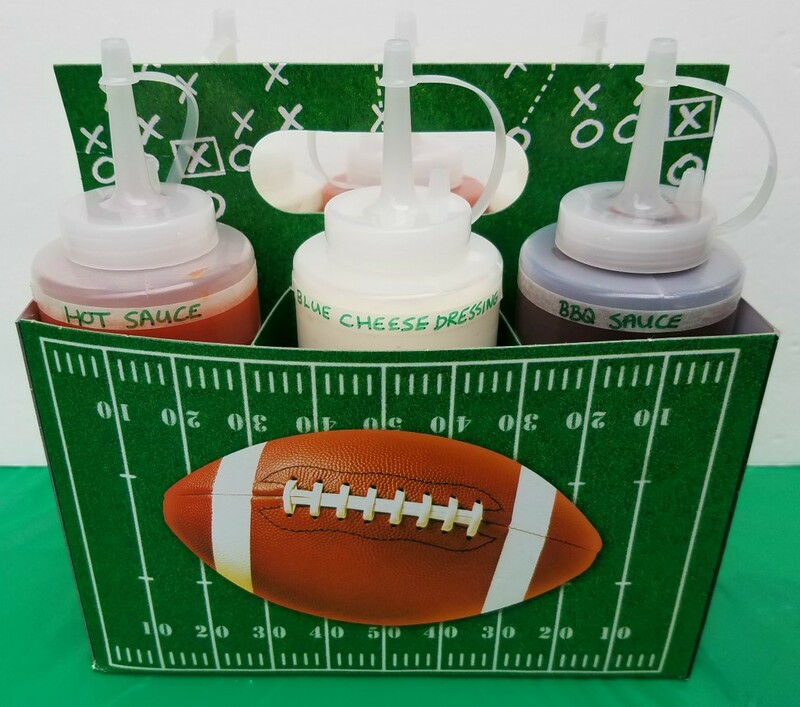 When you watch football games at home you can grill or slow cook your meal but when you are tailgating you want meals that are easy to grab on the way to the game. One of my favorite sandwich shops, Jersey Mike’s, makes it easy to order online and then pick up a catering box full of sandwiches everyone in the family will love. Even my little picky eater, Lucas, loves Jersey Mike’s sandwiches! Football Sundays can be long and if the kids aren’t into football they may become bored pretty quick. Fun games like bean bags or even bringing a football to toss around can keep them occupied while everyone else is chatting and enjoying their pre-game rituals. Don’t forget to bring the drinks to go along with those delicious sandwiches! There’s nothing better than a cold drink on a hot day (stock up on that water!) but on chilly days something warm in a thermos may be preferred. You’ll want a place to sit while you tailgate so don’t forget to put folding chairs (or camping chairs) in your trunk before you leave home. A folding table is also a nice addition so you’ll have a place to serve food from. Whether you are playing music from your phone or checking your fantasy football player’s stats you’ll likely be draining your phone battery so you’ll want to bring a portable phone charger. This is especially important if your game tickets are on your phone because the last thing you want to do is miss the game because you can’t access your mobile tickets. What would you add to this list? Chat with me on Twitter, Instagram, and Facebook. Football season is a great excuse to get together with friends and family. When it comes to party time I like to pick simple foods and decor that will let me enjoy the company and the football game instead of being stuck in the kitchen for hours. I thought I’d share some of my tips for hosting simple football watch parties that can be put together at the last-minute. First, and most importantly, let’s chat food because no party is complete without it. I am all about quick snack and meal options and this is especially necessary when trying to put together a last-minute gathering. Plus, easy food choices mean I can spend more time watching the football game and cheering on my favorite teams! Simple snacks, like popcorn, chips, and pretzels, can easily be placed in bowls nearby where everyone will be watching the game. Another favorite of football fans everywhere- chicken wings- are an easy option when you choose “heat and serve” ones like Tyson® Any’tizers® Buffalo Style Bone-In Chicken Wings and serve them with celery sticks, ranch, and blue cheese dressing. Not only is this a simple option for the host, but finger foods like chicken wings are easy to eat while watching the game (just don’t forget the napkins!) 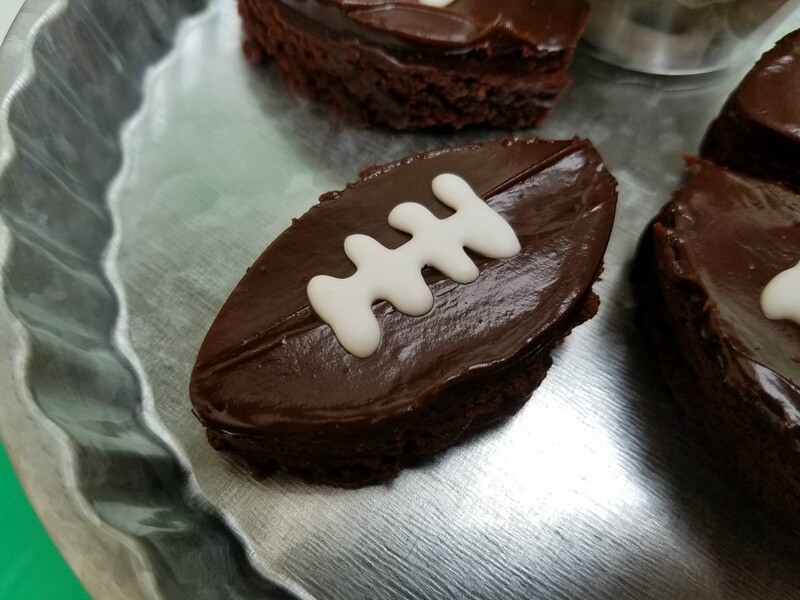 For dessert, I love serving cookies or brownies in the shape of footballs. A little white icing for laces and it’s a quick themed treat! When it comes to decorations I keep things simple by buying football themed tableware that I pair with my large variety of football themed decor I keep out from August through February. I also love decorating with my team colors (Chicago blue and orange all the way!!) 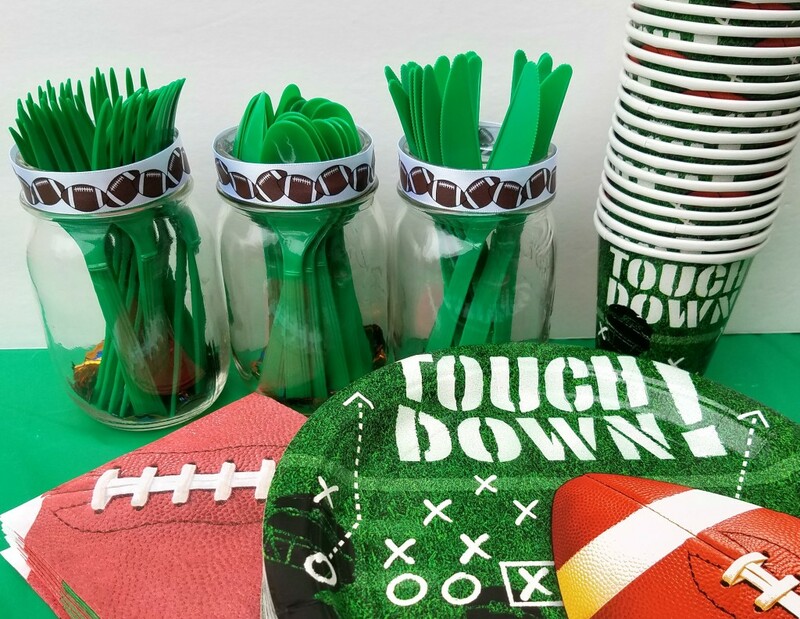 Having football themed party supplies on hand means that you will be ready to entertain guests whenever the opportunity arises. Another tip I have for hosting a simple football get-together is to have something for the non-fans to do. Personally, I can’t imagine anyone NOT liking football but I know those people exist lol. 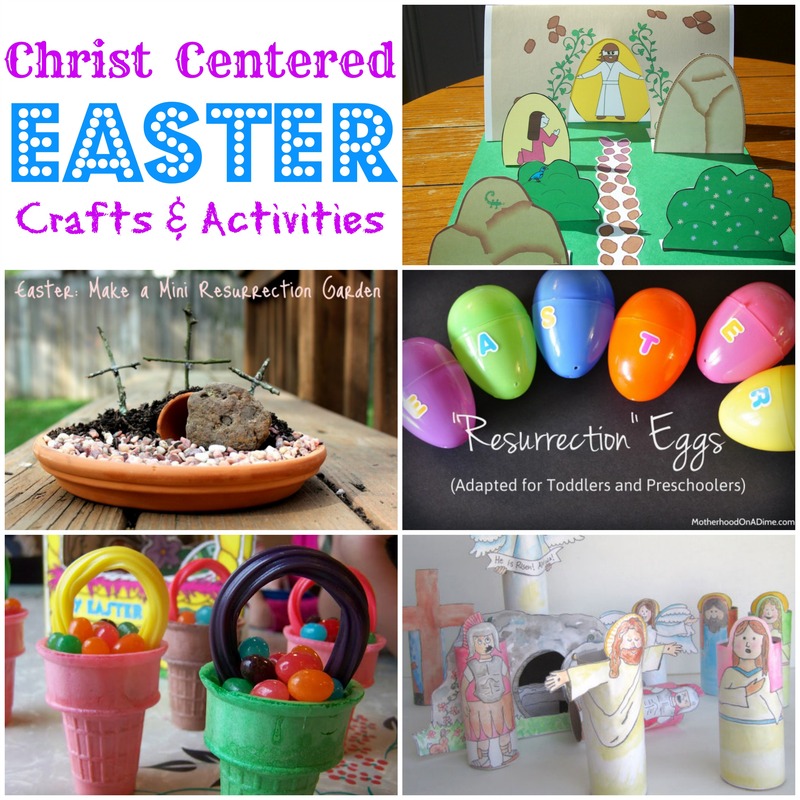 Adults who aren’t interested in the game will probably just enjoy chatting with each other but setting out some simple games and crafts for the kiddos is always appreciated. The simplest football craft that can be made with materials on hand are stuffed paper bag footballs. 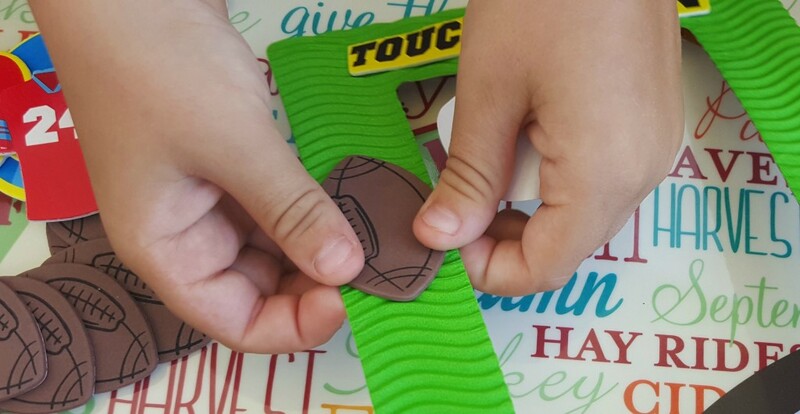 Children can draw two large football shapes on paper bags and then staple the edges together, leaving a small opening to stuff the inside of the football with crumpled newspaper before stapling it closed. 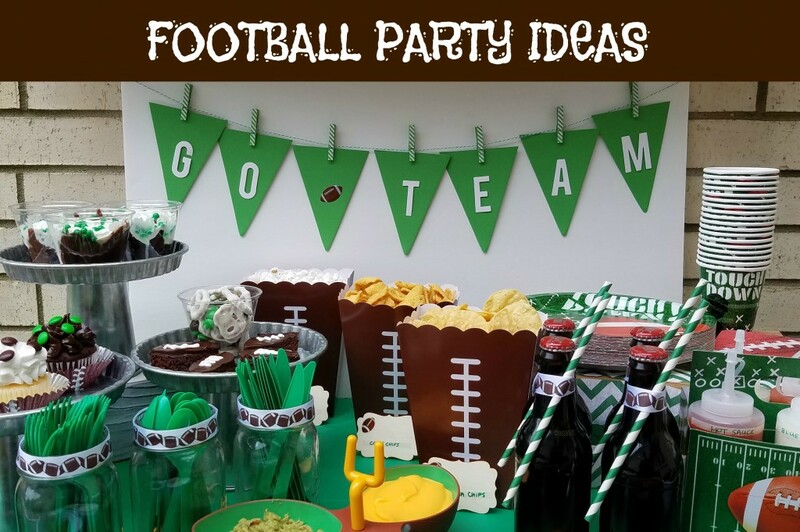 What tips do you have for hosting a last-minute football party? I’d love to hear so chat with me on social media- Twitter, Instagram, and Facebook. I love the warm summer months but there is one thing I love more….football! (I’m sure you all could have guessed that since I talk about my obsession with football all year long!!) The cool, crisp air of fall means that football season is back and it makes me so happy. I basically spend every fall weekend cheering for my favorite teams (Dr Pepper® in hand of course! ), from college ball on Saturday to my son’s football games on Sunday mornings to football all.day.long. on Sundays. I didn’t grow up as a football fan and actually started watching the games when I was older because it was a chance to spend time with people I cared about. I think what I like so much about football is the comradery between fans of the team. There is just something special about being on the sidelines at the football stadium, or around the tv, cheering on our favorite team together. Along with never missing a game, I love showing my team spirit and I do so by decorating my house for football season (check out this cute rag wreath I made) and wearing my team’s colors wherever I go (or don’t go seeing that I’m typing this right now wearing head to toe team gear as I sit on my couch). I thought it would be fun to make my own football shirt too so that I could wear it to both my son’s games (when I’m not wearing my cheerleading “coach” t-shirt) and while watching my favorite football teams play. I went with the “football is life” theme that basically describes the months of August through February for me. The shirt was easy to make and I loved being able to personalize it. To make your own you’ll need a plain t-shirt, iron-on letters and decal, an iron, and a piece of cardboard. To make the shirt, put the piece of cardboard inside and then cut out your letters and arrange them on your shirt. Making sure they are lined up straight will be the hardest part! Then iron-on the letters and decals according to the directions on the packages. I covered mine with the bottom of the t-shirt and ironed over them, then turned the shirt inside out and ironed the back of the shirt where the letters were. You then will peel the plastic backing off. (Funny story…I was so frustrated with the process because I thought my letters weren’t sticking -since I was seeing the outline peeling off- until I had a friend stop by and point out the obvious…part of the outline would come off and the inner part would stay on. Can I just blame this on pregnancy brain?! I felt so silly that I had spent an hour thinking I had ruined my shirt and was going to have to make a new one.) In the end though it all worked out and I love how it turned out. Besides decorating my home and showing my spirit with the clothes I wear, I love watching the game with themed foods and parties. We’ve had a number of family football themed get-togethers but one thing remains the same at each of them…I keep things simple! I want to actually be able to watch the game and not be stuck in the kitchen cooking and that’s why grilling is perfect for football parties. We love our little charcoal grill because, not only is it portable for tailgating, but it sits perfectly on our patio table so we can grill while watching the game. Plus, once we fill the grill with Kingsford® Original Charcoal made from 100% natural ingredients, it gives all the food that authentic grilled flavor you can only get when cooking over a charcoal grill. We make everything from burgers to hot dogs to sausages on the grill, serve them up with a few sides, add in some party appetizers, and that’s it! Paired with the rich, indulgent, one of a kind flavor of Dr Pepper (in the super festive seasonal football cans) it’s the perfect quick, easy, and inexpensive entertaining idea that lets us spend less time preparing food and more time cheering for our team. Speaking of things that save time on game day…have you tried Walmart’s Online Grocery Pickup service yet? I’ve heard great things about it but have yet to try it myself. I’m definitely going to be utilizing it in the future as the cold weather comes because I love the idea of ordering when it’s convenient for me and then being able to pull up and my order is all ready for me. I get the convenience of Walmart’s amazing selection of products (like everything I got for this game day grilling party) and their low prices without having to leave my vehicle! You should see if it’s available near you and take advantage of it if so! How do you like to celebrate on game day? Come chat with me and let me know! Find me on Twitter, Instagram, and Facebook. Get Fired Up for Game Day with ideas here. I’ve shared before how involved my kids are in youth sports and how many benefits to being involved in team sports that I think there are. Sports have helped my boys work on their social skills, learn the importance of teamwork, given them a chance to learn about responsibility, provided a fun means of exercise and produced friendships they still cherish today. All of these skills are vital for kids as they move through elementary school and into junior and senior high. I still believe all the positive things that I’ve written about youth sports before but, after an incident recently happened to my son, I feel compelled to share about the other side of youth sports and also what I believe to be our biggest responsibility as parents, coaches, leagues, and fans. One day a couple weeks ago, my son and his teammates had just played a soccer game and experienced a lot of dirty play from the other team- pushing, yanking jerseys, tripping, etc- which is really not all that uncommon in youth sports nowadays. My kids have played sports since they were in preschool so I’m aware that there are just some teams that do that more so than others and it’s sadly become pretty commonplace and ignored (at least in the handful of leagues we’ve been involved in). My concern is how that “dirty play” and “win at all costs” culture leads to further negative physical and verbal interactions. Even in this recreational team my son is on that says they are all about “fun”. When my kid, or any kid, no longer feels safe (whether emotionally or physically) playing youth sports we have a problem. So back to the soccer incident… My 9-year old son was at the soccer game and it had come to the end of the game where the “losing” team and the “winning” team meet to exchange handshakes and give a quick “good game” to the other side. My son happened to be on the losing team this day and they were bummed (like most kids are when they lose) and the other team was excited (which is completely understandable). One child in particular chose to tease the losing team reminding them they lost instead of saying “good game”. My son responded that it “didn’t matter” who won and this child responded with “you don’t matter” and when my son said “be quiet” this kid purposefully hit my son in the face (hard enough to make my tough, sports playing kid cry). So of course all the adults in the situation responded to let the child know that was not okay, right? NOPE. When my son’s coach saw him crying and his teammates told the coach what had happened my son’s coach marched him across the field and let the other team’s coaches know that a child on his team had hit my son. The coach did not show any empathy at all and made the boy shake my son’s hand but no apology was given. The other coach then laughed about the situation with a parent on their team and later verbally attacked our coach who had just been bringing the situation to his attention. Talking to our league’s team mom representative that next morning she’d told me that she’d received a number of complaints about this team’s dirty playing and that the coach of the other team was a league rep who should know better and be held to a higher standard and that the child would be suspended. I also contacted our league commissioner and president of the organization and thought for sure that contacting them would result in a resolution. At first, the league commisioner seemed to be as appalled as everyone else was. Weeks later though they brushed it off and the president even responded to my son’s coach saying he “was more concerned” with the verbal altercation that the two coaches got in after the game, after all the children had left, than my son being hit in the face. The league’s “code of conduct” states punishment for “physical violence” is one year suspension from all league events but we weren’t even asking for that. All my son and I wanted was an apology and the league to acknowledge that physical violence is not acceptable and to know it will not be tolerated and they will take action when it happens. The league’s actions lead me to believe that a kid who scores goals and a coach who wins games don’t need to apologize for their behavior or receive any punishment at all. And it’s not limited to this one incident being “swept under the rug” so to speak. Last season a parent on an opposing team was screaming at the umpire during a baseball game because he didn’t like some of the calls he made. The umpire was a teenager. Another season, my son struck out during a baseball game and his coach cussed him out. The worst part is that this kind of thing runs rampant at youth sports games across the country so much so that some leagues had to start putting signs up reminding spectators that it’s “just a game” and these are kids playing. Our biggest responsibility to our young children who play youth sports is to provide a safe environment for them to learn and play. We cannot allow bullying, violence, or other unsportsmanlike conduct on our field because “it’s just part of youth sports”. It shouldn’t be and it doesn’t have to be something everyone just accepts. This means that we all need to acknowledge that the players are still learning and developing their skills. We need to all realize that umpires and referees are human and make mistakes. We also need to remember that we all have a responsibility to model good sportsmanship and treating each other with respect. Providing a safe environment also means standing up for those who are experiencing unsafe or mentally unhealthy conditions. From coaches cussing at kids for striking out to parents screaming at umps to leagues defending the actions of their top performers to kids physically harming other kids with rough play and physically hurting others without fear of consequence, the “win at all costs” mentatlity is harming our communities and our children. It’s okay to want to win but it’s not okay to create and foster environments where winning trumps everything else, including the safety of our children. What do you think? I’d love to hear about your experience with youth sports in the comments below. Thanks to British Soccer Camps for sponsoring this post. I sent Jacob off to school in shorts today so I guess it’s time to start thinking about our summer plans. Normally I am so on top of things but this year, not so much. One thing I know for sure though is that soccer camp is on the list because it’s already blocked out on the calendar. Jacob plays league soccer every winter and spring and, for the past few summers, has also participated in a week long soccer camp called British Soccer Camp. This camp week is always one of his favorite weeks of the summer and something he is looking forward to participating in again this year. He has enjoyed making new friends and playing this sport that he loves while I’ve noticed his skills develop a lot these last three years and I attribute much of that growth to these week long, half-day intensive camps. British Soccer Camps have programs for all ages and abilities and feature an innovative curriculum full of skills, drills, and thrills! Register now and you will not only get your free British Soccer game jersey (value $34.95) shipped to you for free immediately, but you will also get their brand new skill development App and 20 videos to help your child practice at home. Your soccer ball, T-shirt & poster will be given out at camp. USE CODE BSC18 at check out to get free shipping. Has your child participated in a sports camp before? If so, what was their favorite part? 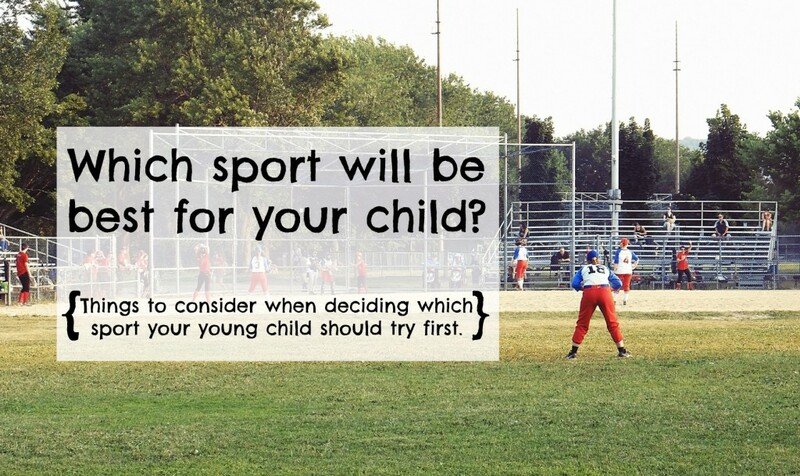 Which Sport Will Be Best For Your Child? To say that my family is involved in youth sports is an understatement. Between my two boys, they currently participate in football, baseball, soccer, basketball, karate, gymnastics, dance, and bowling (which I guess could be considered a sport since I heard it will be in the Olympics soon!). Life is crazy at times but I let the boys participate in what they want to and have seen the many benefits that sports have brought to our family. What do they gravitate to during play? Next time you head outside pay attention to what your child tends to gravitate to. Do they love playing catch? Are they kicking things around? When indoors, what active things are they doing at playtime? Do they like to wrestle with their siblings? Do they love to dance around the house? Do they pretend to be ninjas? These natural tendencies during play can give you a clue to what sport they might enjoy! Is there anything they are naturally good at? Sometimes children show talent at a young age for something and I think that’s definitely a sport to consider if they seem to also enjoy it. For example, my nephew and neice’s brother, who is three, was playing a carnival like hockey game this past weekend and he was hitting the ball into the goal more often than most of the children that played the game even though he was the youngest of the group by about four years. One of the adults joked that he might be a future hockey star, and though he was joking, it did seem that he might have some natural talent when it comes to hockey that may be worth exploring. What sport is a good fit for their personality? Team sport or individual sport? Does the child play well with others or prefer to play on their own? For example, a child who plays well with others might enjoy a team sport like football but someone who prefers to play on their own may like a solo sport like ice skating or golf. In the spotlight or out of it? For example, a child who likes being in the spotlight may love a sport that is performed in front of an active audience like a ball game, but a child who is shy may prefer a sport that is done without a large crowd like swimming where they are in water and tuning out the people in the stands. Follow the rules or create their own? For example, kids who love rules would like karate where their every step is coordinated while kids who want to be creative would probably enjoy dance more. Competitive or not? For example, a child who loves competition may enjoy a team sport that keeps score like lacrosse and a child who gets anxious during competition may enjoy a sport that doesn’t keep score, like gymnastics or karate. Have you found a sport your child enjoys? I’d love to hear about your children’s favorite sports in the comments below! Thanks to The Genius of Play for encouraging this discussion and sponsoring this post. My boys have been playing sports for years and I’ve written, in the past, about how important sports are to our family. There are many benefits to playing sports like learning the importance of teamwork, learning to be responsible, realizing the importance of practice, getting exercise, learning to lose graciously, and developing friendships. Recently though, I was asked if I considered sports as playtime for kids and I definitely think that sports can count as play, but not always. When children kick around a soccer ball at recess, sports are play. When kids shoot baskets on the basketball hoop at the end of their driveway, sports are play. When a group of neighborhood kids head to the baseball diamond to play an unorganized game of ball, sports are play. When kids join a recreational sports league that stresses fun over winning, sports are play. Play is fun so if a child is having fun while playing sports then yes, sports can count as playtime for kids. The problem comes though when sports stop being fun. There recently was a survey done by the National Alliance of Youth Sports that showed that 70 percent of kids in the United States stop playing organized sports by the age of 13 because “it’s just not fun anymore.” To be honest, I don’t think it’s that sports stopped being fun but the expectations that adults put on children and teens that turn sports from play to work. Though Jacob still enjoys playing numerous sports year-round, I sometimes feel like this competition and pressure to perform perfectly has started to show even at his level. Jacob just turned nine and has already been in situations where coaches got angry when they didn’t get a hit, didn’t make a goal or weren’t running fast enough on the field. This breaks my heart. The pressure young kids are facing to compete, perform perfectly and specialize in one sport are, among other things, causing our children to stop playing sports at a time in their young lives when they really could benefit from the things that sports teach them. The good news is that we, as parents and coaches, can remind our older children of how much fun sports can be and make sports an enjoyable activity like it once was for them. We can encourage them to play sports they enjoy regardless of whether they are the best on the field or not. We can encourage them to keep trying when they get frustrated. We can remind them that it’s just a game and if they don’t win that is okay. We can encourage them to get off their screens and go outside to play ball with their friends. We can cheer them on with encouraging words even if they don’t get that hit or make that basket. We can join them outside and play catch or kick around a ball with them. We can enroll them in sports leagues that prioritize fun over winning. We can remind them that the only competition there needs to be is the competition with their past self to try to be better than they were yesterday. We can support the friendships they make through sports. We can remind them that their sports performance does not determine their worth. We can encourage them to develop other non-athletic talents alongside playing sports. 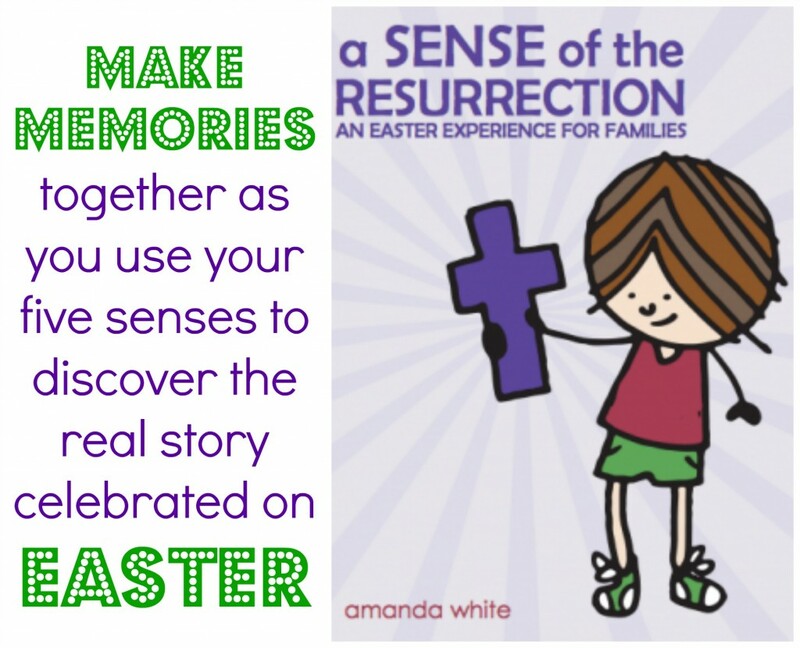 We can help children learn to accept their mistakes and help them discover what can be learned through the losses they experience. We can ensure our children have time to play outside of sports. I believe that if we make sports fun again for our kids, sports will once again become play. So what do you think? Do you consider sports play? I’d love to hear what you think in the comments below and I hope you’ll join me in making sports fun again for our kids. Check out the Genius Of Play site for more play related ideas! This is a sponsored post for SheSpeaks/Riddell. Those of you who have been reading my blog for a while know that I love football. I look forward to football season every year and count down the days until it starts. I love watching my favorite Chicago team play it, cheering for the Buckeyes in college football games, and, of course, watching my own son play it. I’ll never forget the very first year that Jacob played football. When we picked up his gear I remember thinking how tiny he looked in it but I knew that this gear was essential in keeping him safe on the football field which is the most important thing to me as a sports parent. It’s clear that the game of football is no longer about being the fastest or strongest on the field; but about being the smartest, so I’m thrilled to be partnering with Riddell, a brand that believes in the importance of safety and smarter football. Smarter football means safe tackling, proper nutrition, excellent sportsmanship and maintaining good grades. Riddell is calling on players, coaches, parents, and fans to take an active role in advancing the game through the Smarter Football Commitment. This initiative invites members of the football community at all levels to join in a movement to create a safer, better sport through the use of “smarter” tactics on and off the field. Riddell believes in this cause so much that they’ve pledged up to $100,000 in equipment grants to select football programs in need of upgraded gear. Multiple grants will be awarded to several deserving programs that best demonstrate how the new product will strengthen their team’s commitment to smarter football. Entries will be accepted through August 31, 2017 with the winners announced during the 2017 football season. HOW TO APPLY FOR A GRANT: Fans, administrators, coaches, parents, and players can submit their teams via the website at Riddell.com/SmarterFootball through August 31, 2017. To apply, fill out the form to share the details of the football program you are applying for, including the state of their equipment, and how your program practices Smarter Football. Watch how winning a grant changed things for one team and helped them practice smarter football! How would your child’s team use this grant if they won? This post is sponsored by Target. I’m a Target Brand Ambassador but all thoughts are my own. It’s summertime which means we are in the middle of the U.S. soccer season. Growing up in Croatia, soccer (or “football” as it’s known in Europe) has always been an important part of my life. When I was younger we played it on the playground every day and I played club soccer also. Soccer has always been my favorite sport and while I don’t play it any more, I still love to watch it. I’m not alone in my love for the sport. Soccer is the biggest multicultural sport in the world. I am very happy that it has grown in popularity here in the States. Since I have called Chicago my home for almost 2 decades one of my favorite soccer teams is the Chicago Fire. This summer is extra exciting for Chicago as the MLS All-Star Game is going to be played in Chicago at Soldier Field on August 2nd and four members of the Chicago Fire have been named to the MLS All-Star roster. For those who do not follow soccer this is an event where some of the biggest stars of MLS will face off against Real Madrid from Spain. This will be an epic event and I can’t wait to watch it! Target recently announced their major investment in U.S. soccer and are the Presenting Sponsor of the 2017 MLS All-Star game. They also became an Official Partner of Major League Soccer, the jersey sponsor for Minnesota United FC and the Official Retailer of US Youth Soccer. Additionally they provided a grant to the U.S. Soccer Foundation. Target’s move into soccer makes sense because they are the retailer where many families, including mine, gets all of our soccer essentials from. My oldest has been playing soccer since he was 3 years old and now he plays league soccer during the spring and indoor soccer in the winter. Target is our one stop shop for all our needs from shin guards to game day snacks to soccer goals that help kids practice at home. Target is also where we get our soccer balls. As kids grow they use different size soccer balls depending on regulations of the leagues they are in and Target has all the different sizes in stock. My boy’s love the selection, especially the soccer balls that are neon colored. Can you believe that Target sold one million soccer balls in 2016!? That’s a lot of families playing soccer! With the MLS All-Star game quickly approaching we are excited and getting ready to celebrate this big event in the soccer world. We found all our party essentials like snacks and decorations at Target. I even bought a shirt for myself and shirts for the boys to show our soccer pride. I hope you’ll follow along and chat with me Wednesday night as I share our homegating party fun on social media while we watch the big game. 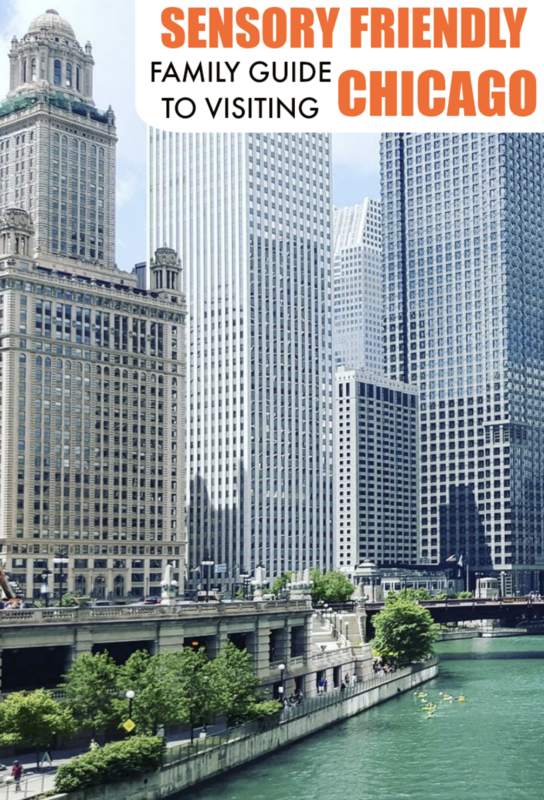 If you live in the Chicago area or will be in town for the game, be on the lookout for all sorts of Target sponsored events across the city throughout the week along with awesome in-stadium experiences. How are you getting ready for the MLS All-Star game? 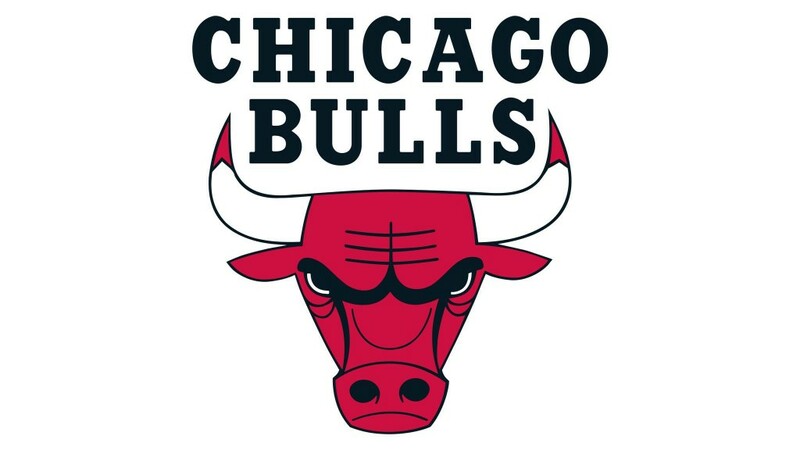 Thanks to the Chicago Bulls for sponsoring this post and giveaway. Calling all basketball fans! You’ll want to check out this kid-friendly event. 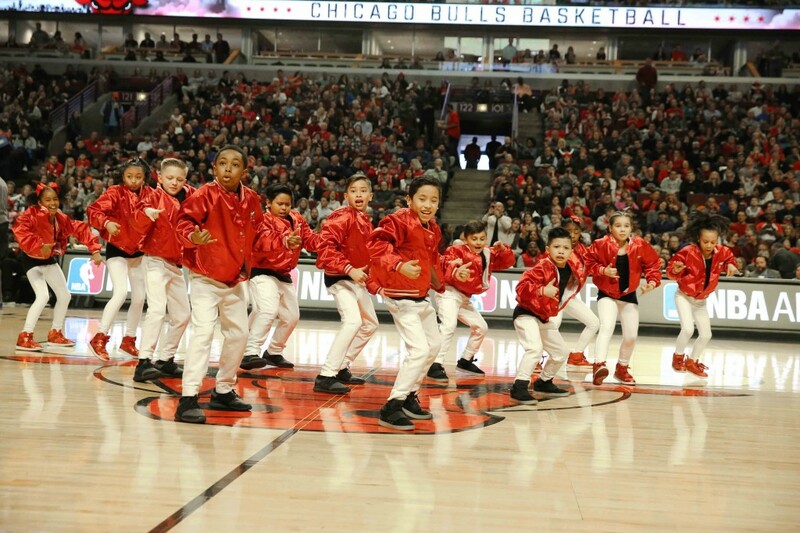 Chicagoland families are invited to “Kids Day” at the Chicago Bulls vs. Atlanta Hawks game (April 1st at 4 pm) at the United Center. 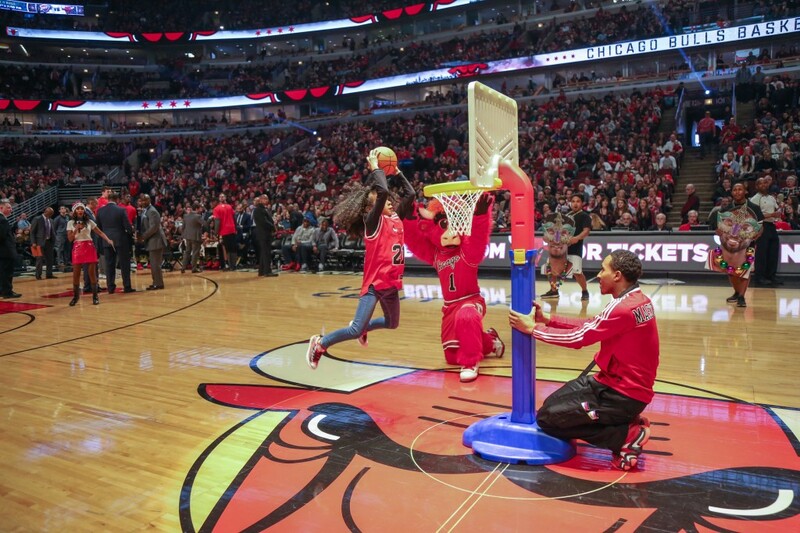 There will be a pre-game Kids Zone in the United Center atrium featuring a face painter and games. During the game there will be kid entertainment and other fun surprises. Want to attend? Purchase tickets here or enter to win 2 tickets, courtesy of the Chicago Bulls, following the directions below! Giveaway ends March 29, 2017 at 11:59pm CST. Rules: Must be 21 or older and a US resident to enter. Giveaway consists of two (2) tickets valid for the Chicago Bulls game on April 1, 2017. Winner is responsible for all other costs associated with attending the game, including travel and parking. Winner will be chosen at random, notified via email, and will have 24 hours to respond to claim tickets. The Chicago Bulls are responsible for ticket fulfillment. Jacob plays league soccer two to three seasons a year and, for the past couple of summers, has also participated in a week long soccer camp called British Soccer Camp. This camp week is always one of his favorite weeks of the summer and something he is looking forward to participating in again this year. He has enjoyed making new friends and playing this sport that he loves. Watching him play, I’ve noticed his skills develop a lot these last two years and I attribute much of that growth to these week long, half-day intensive camps. Created by Challenger Sports, British Soccer Camps can be found across the US and Canada. Their camps are coached by a team of international experts and have an innovative curriculum that develops skills, speed and confidence in players of all abilities from ages 3-18. In addition to teaching new skills and improving game performance, each British Soccer Camp provides lessons in character development and cultural education. Best of all, this camp makes learning soccer skills as fun as can be! Has your child ever participated in a sports camp over the summer? Disclosure: This post is sponsored by Speedo USA but all thoughts are my own. 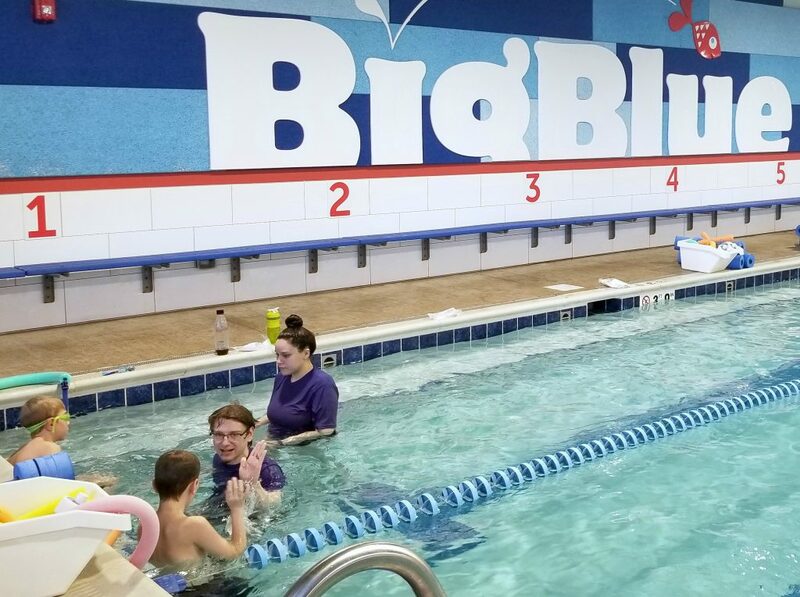 My boys take swim lessons pretty much year round. In the summer they enjoy the lessons outdoors but during the colder months all of the lessons are moved indoors. 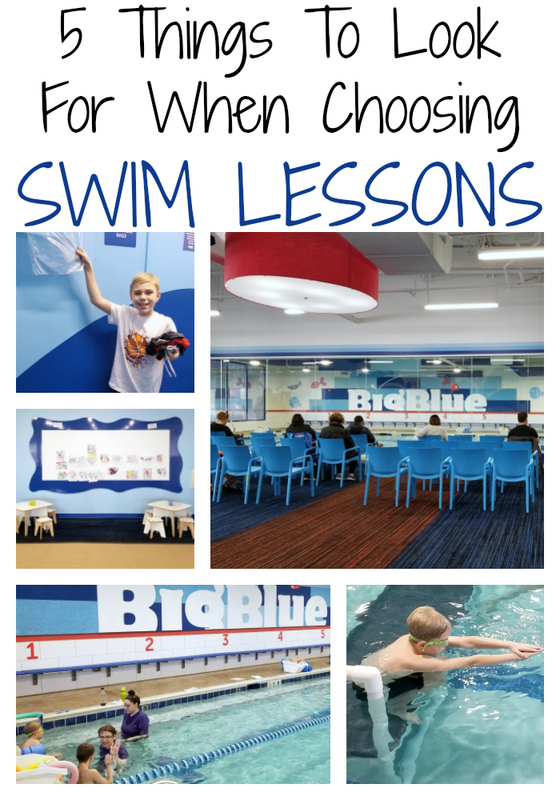 I’ve discovered that we need to pack a lot more items during the colder months than we do for summer lessons so I wanted to share them with those of you who may be considering fall or winter swim lessons. My boys always bring two towels each for lessons. One towel they use to wrap around themselves when they are sitting on deck waiting for their turns in the water. 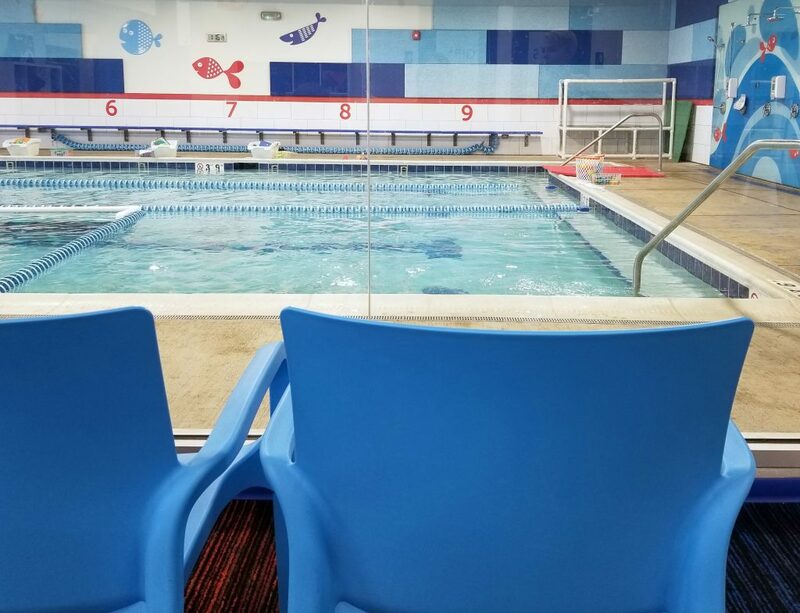 Though the pool area is warmer than the temperature outside, remember that the hot sun won’t be beating down on them like it does at outdoor lessons. Since this towel will be soaking wet after lessons, the second towel is used to dry themselves before they get changed back into their clothes. 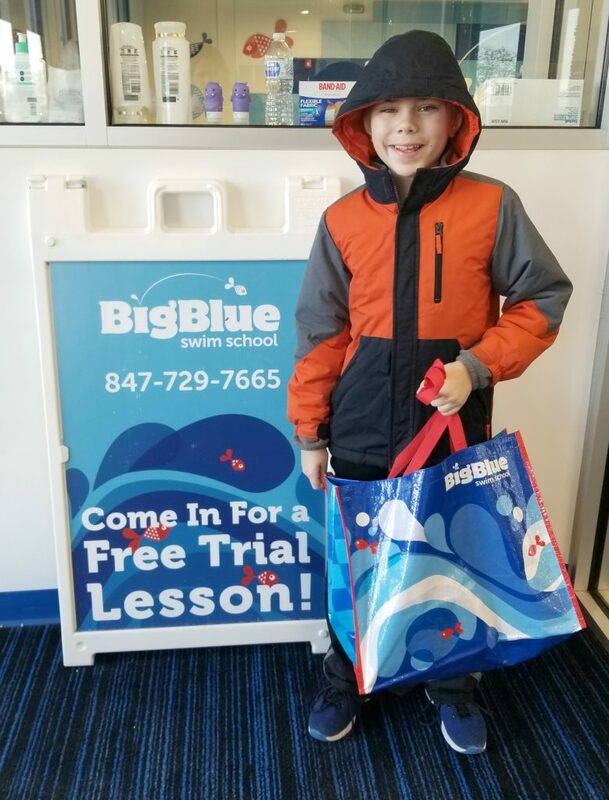 In the summer months the boys spend so much time at the pool that their eyes tend to adapt to the chlorine water but in the winter my boy’s eyes seem to be more sensitive. I’d suggest getting a good pair of goggles they can wear in the pool. Make sure to label them with your child’s name so if your child takes them off and sets them down they won’t get lost. Children will have wet hair after they get out of the pool and you can dry it off as best you can but most likely it will still be damp. Keeping a hat on their head will keep them from catching a cold as they head out into the cold weather. I know as a parent I tend to not worry about hydration in the winter as much as I do in the summer but it’s so important to make sure we keep our kids drinking water or sports drinks while they are exercising, regardless of what season it is. The very best clothes to wear to lessons during the colder months are easy, comfortable clothes. After children get out of the pool they just want to get dressed as quick as possible so pants that they can slip on are great. We love Speedo brand because not only do they make great swimwear but they have a variety of athletic apparel as well. While perusing the Speedo website a couple months ago I picked out a pair of pants and matching jacket for Jacob to wear to swim lessons. I liked them because they were quick drying and wicked away moisture which I thought was perfect since my kids don’t always dry themselves fully before starting to get dressed (and then they wonder why their clothes seem to be sticking to them…ha!). I also decided to get him a new pair of swim trunks and a coordinating rash guard. The swim trunks are made of material that dries twice as fast as typical shorts. I also like that both the rash guard and swim trunks protects the skin from the sun’s harmful rays which will be great during summer lessons. What do you consider essentials during the colder months when your children are swimming? I’d love to hear your tips in the comments below! Please note: My blog may contain links to other websites. I am not responsible for the privacy policies of those other websites. When you click on a link, your information may be collected by those websites so I encourage you to read their privacy policies. Affiliate links are not associated with Speedo. Football season is one of my favorite times of year and it’s a great excuse to get together with friends and family. 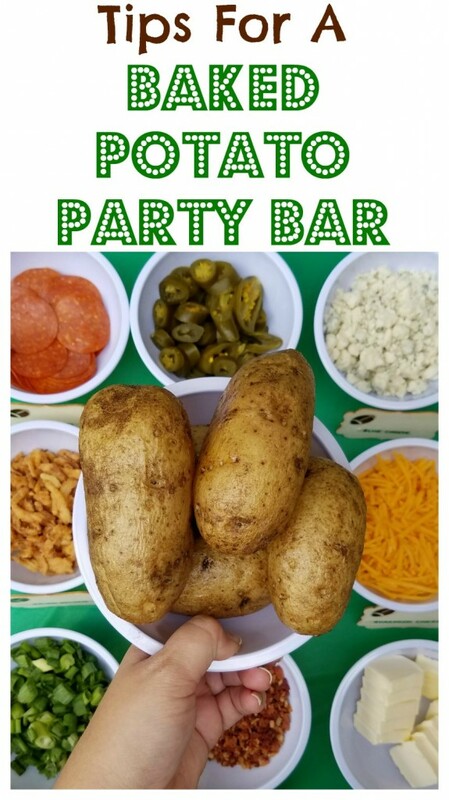 This year I wanted to plan a party with a baked potato bar because I love party foods that let me enjoy the company and the football game instead of being stuck in the kitchen for hours. 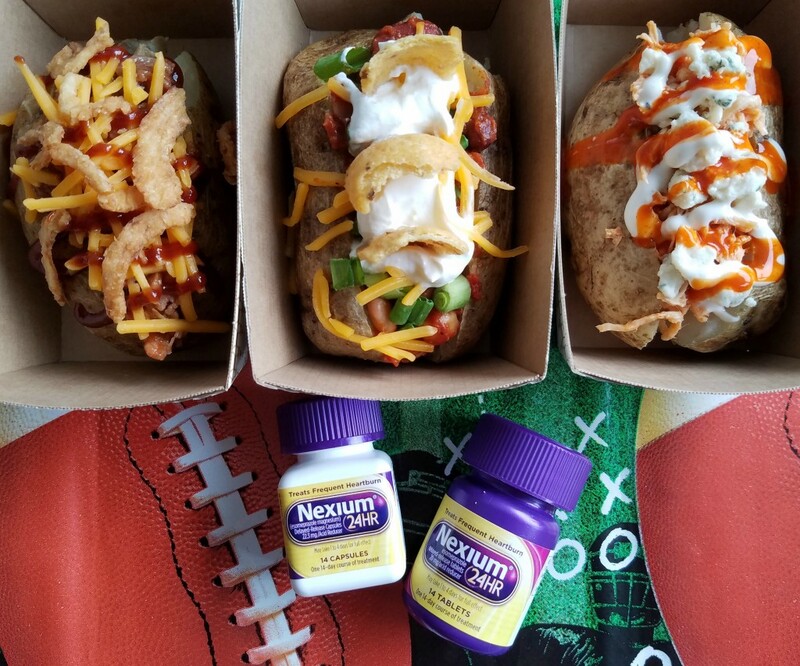 Along with the baked potato bar I’m sharing three of my favorite loaded baked potato recipes and information about Nexium® 24HR which provides all-day, all-night protection from frequent heartburn so I can enjoy my favorite baked potato toppings (even the spicy ones!) all season long. Of course, my love of themed parties means I have to share all the party decorating details and three easy, but delicious, dessert ideas! Walmart has a plethora of football tableware and decorations and I chose to do some quick DIY projects as well. I made a colorful banner that says “Go Team” using some green paper and letter cutouts which I hung from string using cute little clothespins. 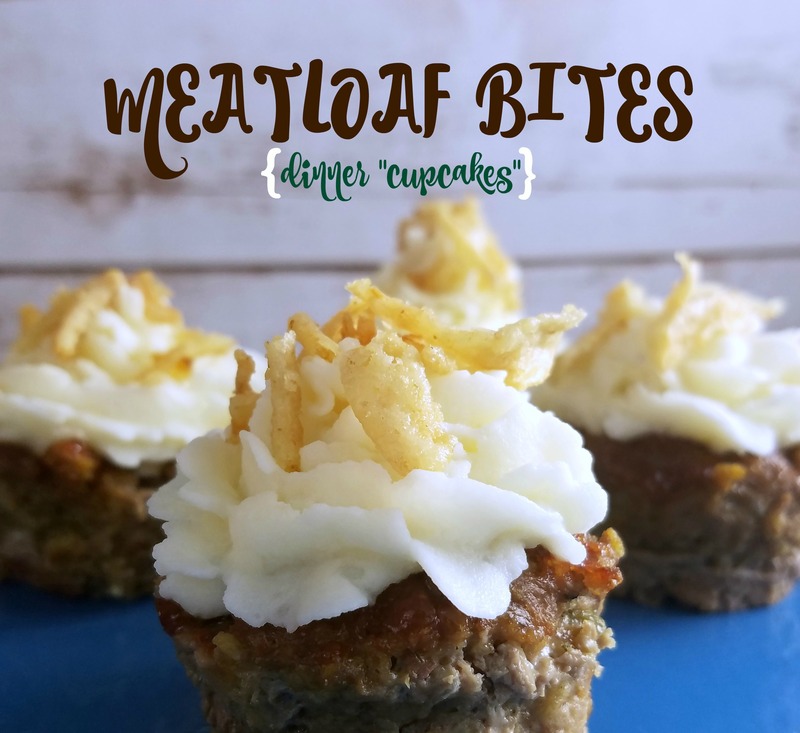 I love a good baked potato with the typical butter, cheese, sour cream and bacon toppings but there are so many other delicious toppings out there, too. I set out a variety of choices that would appeal to a number of diets, from vegetarian to meat lovers. I also included options for every palate- from mild to spicy. I bought condiment bottles so I could offer a variety of sauces including hot sauce, barbecue sauce, ranch dressing and buffalo sauce. So now that you aren’t worried about heartburn, I wanted to share three of my favorite baked potato topping combos. Mix your chicken and buffalo sauce together. The more sauce you use the wetter and tangier the potato will be. 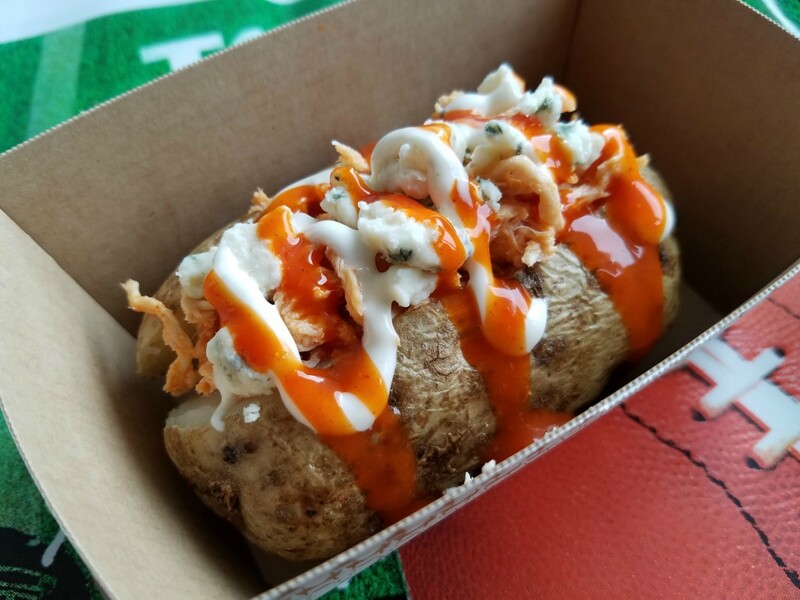 Once done, cut your potato open and add in the chicken and blue cheese then drizzle with more buffalo sauce and blue cheese dressing. This baked potato is really easy to make! Slice the baked potato and then put the pulled pork inside. 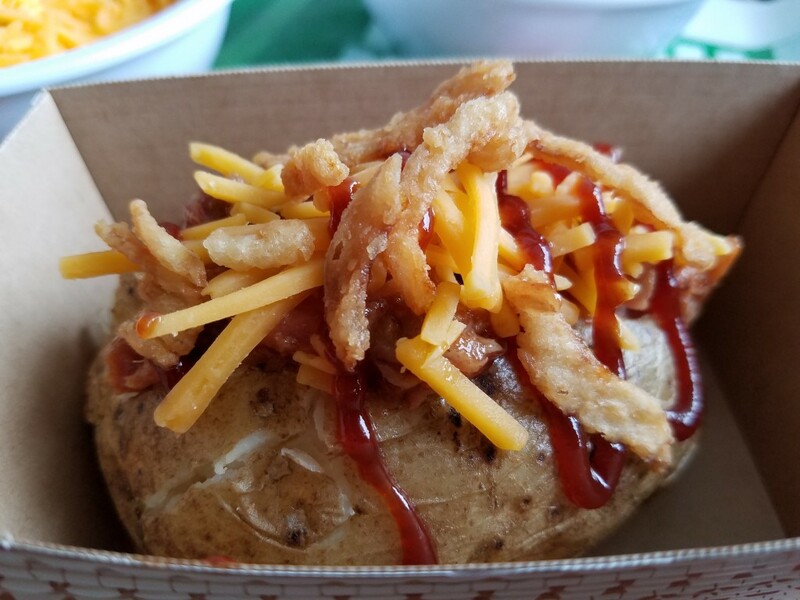 Sprinkle cheese on top and fried onions and then drizzle barbecue sauce on top of your baked potato. 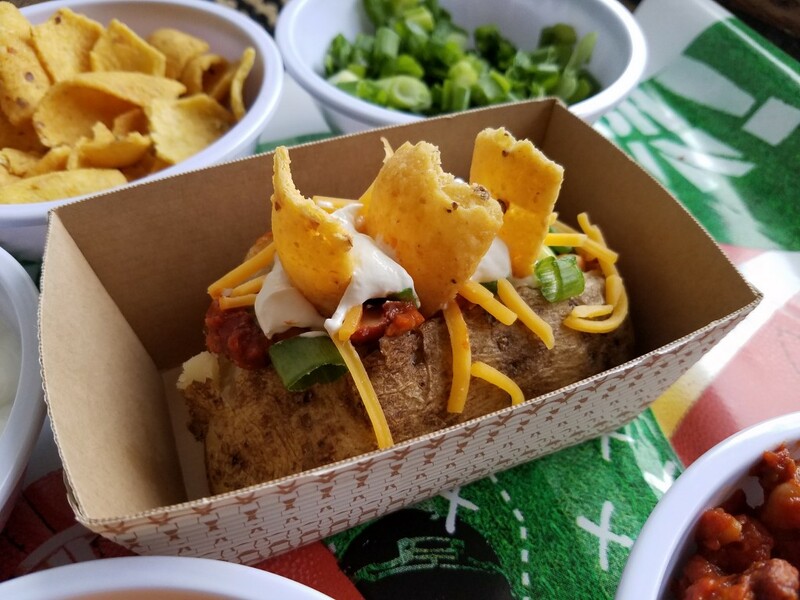 If your fall go-to meal is chili you’ll love this chili topped baked potato. Just add your favorite chili and top it with shredded cheese, green onions, sour cream and corn chips. No party is complete without appetizers and desserts! 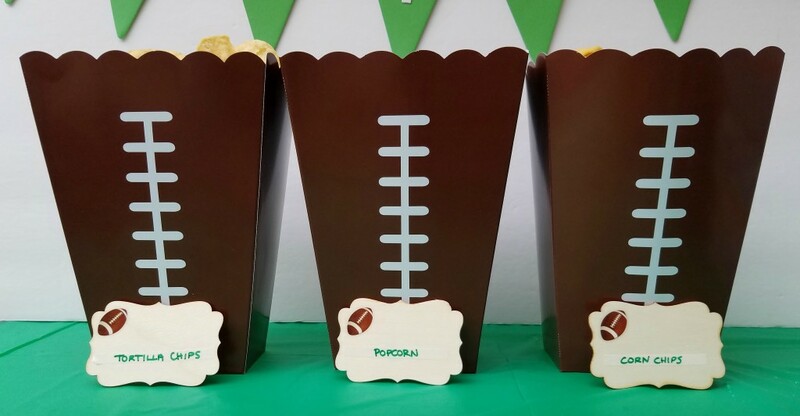 I found cute popcorn containers that had a football design and put popcorn, corn chips and tortilla chips in them. 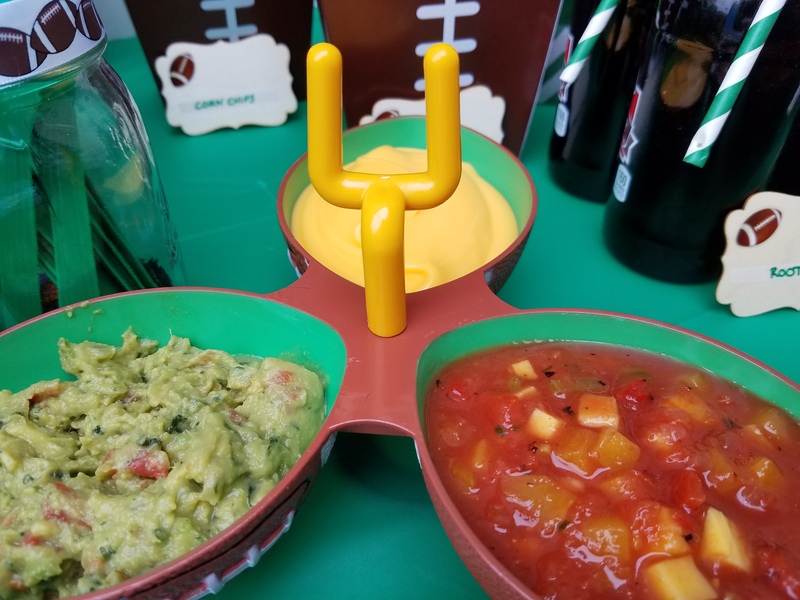 I also used a football serving dish for the dips and set out salsa, cheese sauce and guacamole. For dessert I made a few different treats with store bought bakery items. To keep with the football theme I used a football shaped cookie cutter to cut football shapes out of brownies and then I used white icing to draw “laces” on them. I used the excess brownie pieces to make trifles by layering brownies, chocolate pudding and whipped cream in cups and then topping them with green hard candy sprinkles. 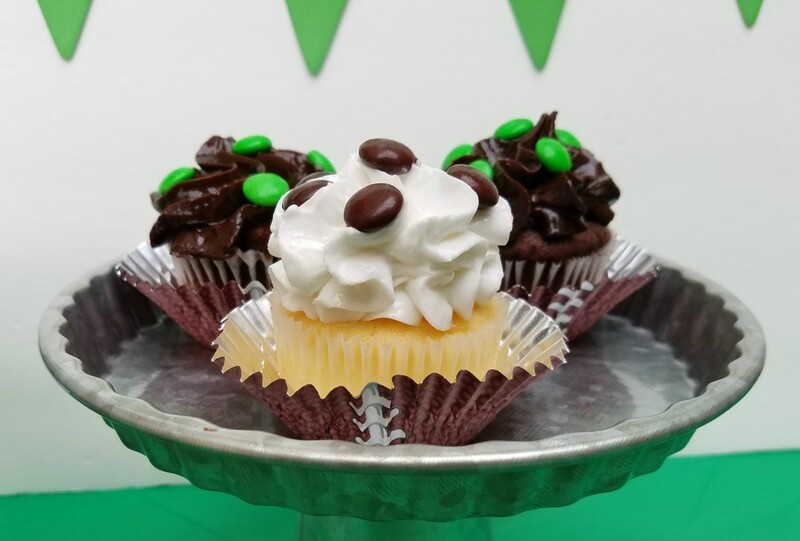 Since my kids love cupcakes I got some of those and put them in football cupcake wrappers and added brown and green chocolate candies to the top of them. To drink I offered two options- water and root beer. 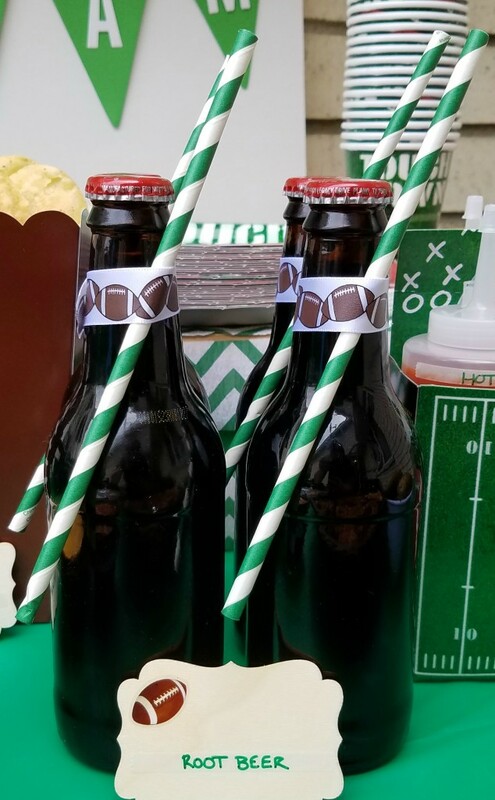 I tied a festive straw on to the bottles with football themed ribbon. 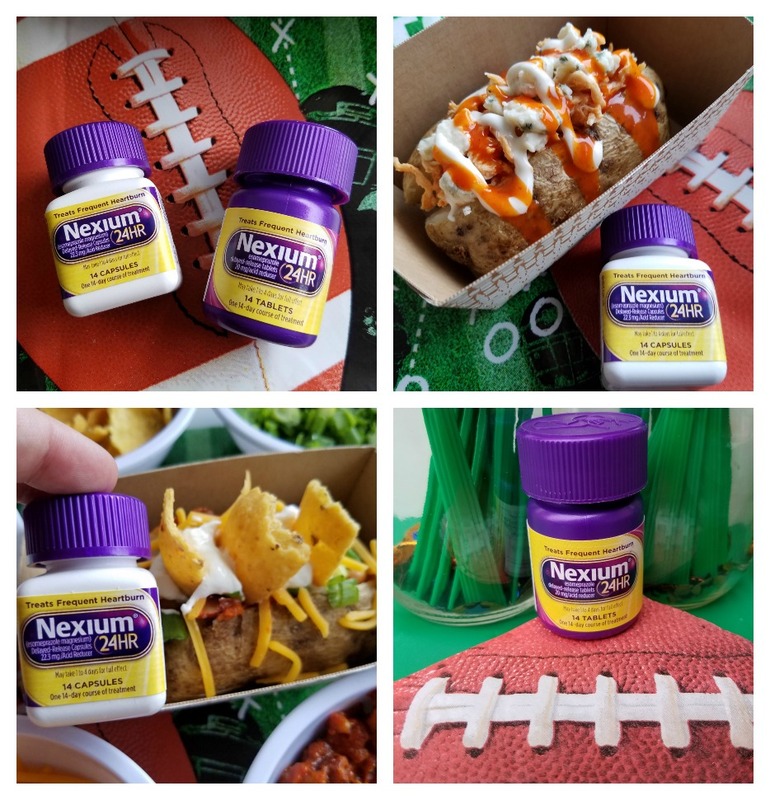 So now that you are prepared for a football party with decorations and food, don’t forget to take Nexium® 24HR daily for all-day, all-night protection from frequent heartburn so you can enjoy the party and all the football fun! Nexium® 24HR is the #1 Choice of Doctors and Pharmacists* for their own frequent heartburn. 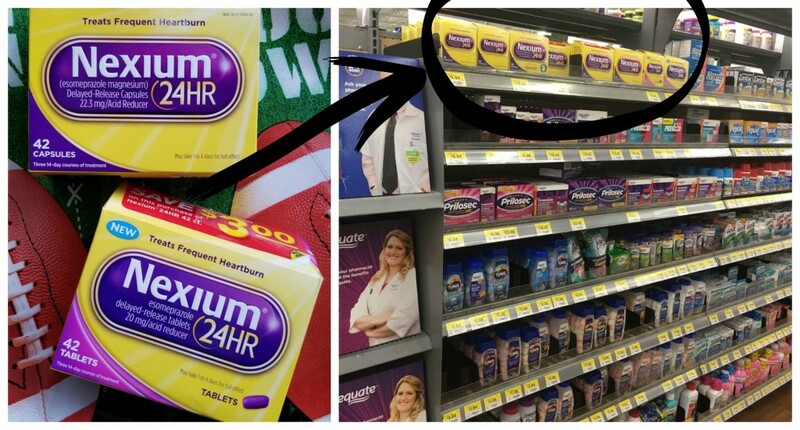 (*Among PCPs and Pharmacists who use a branded OTC PPI) You can find 42 count packages of tablets or capsules at your local Walmart store by the other over the counter medications. Each box has 3 smaller bottles inside with 14 days worth of capsules/tablets. 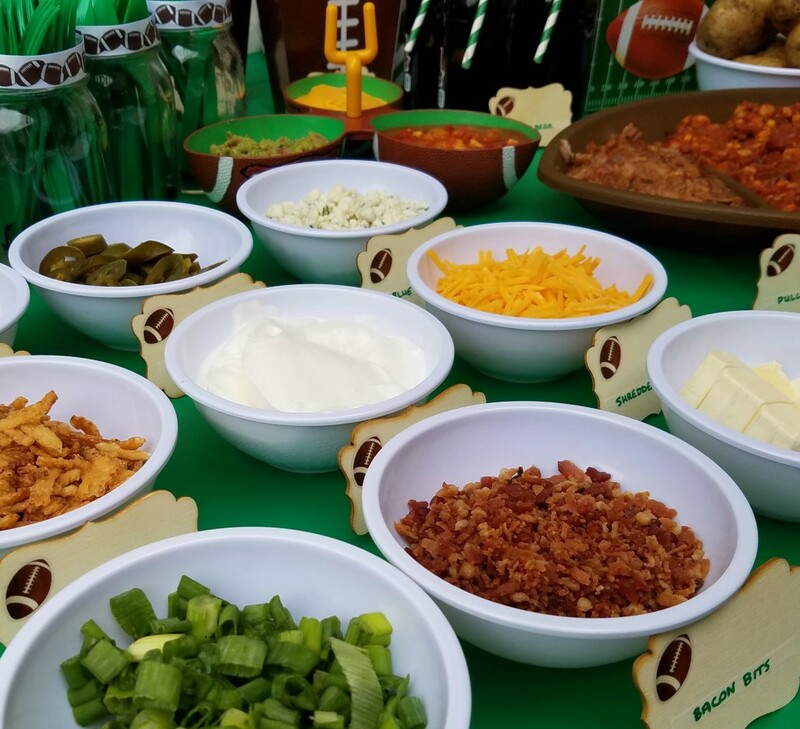 What foods would you serve at your football party? Whatever you choose, don’t get sidelined by frequent heartburn! Make sure to get ready for tailgreatness and take your Nexium® 24HR daily to ensure you can enjoy all of your favorite party foods. *May take 1 to 4 days for full effect. Use as directed. Thanks to Tampico for sponsoring our afternoon of crafting decorations for football season! I absolutely love football season. Whether it’s tossing the ball around with my kids, watching Jacob on the field or sitting around the tv on Sunday afternoons cheering for my favorite team from Chicago, it’s a wonderful time of year. Jacob and I did some crafting to get ready for football season and I thought I’d share some of the decorations we made for the house. 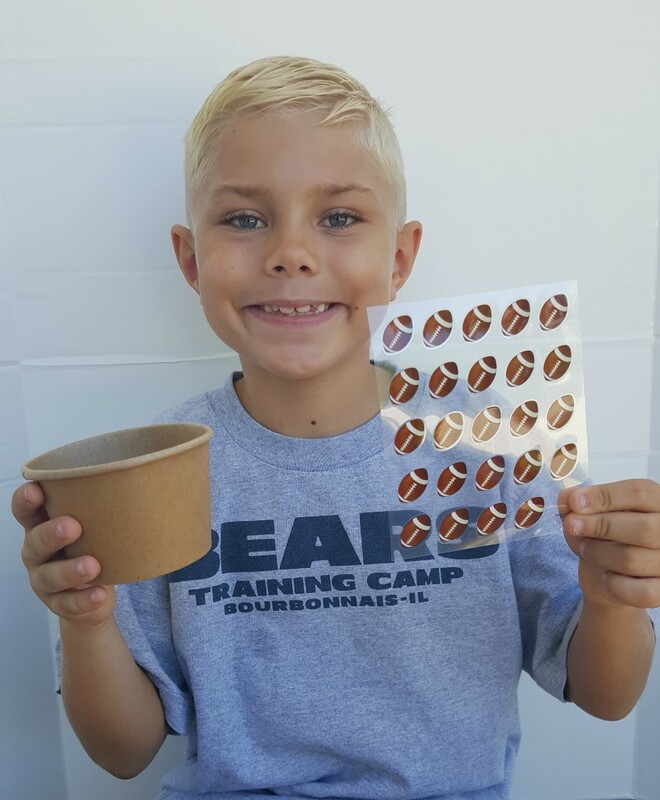 The first thing we did was decorate some snack bowls with football themed stickers. We did this to prepare for our various football parties we are going to have this year and because snacks are always better from fun bowls! Of course we had to have a snack while we were crafting! 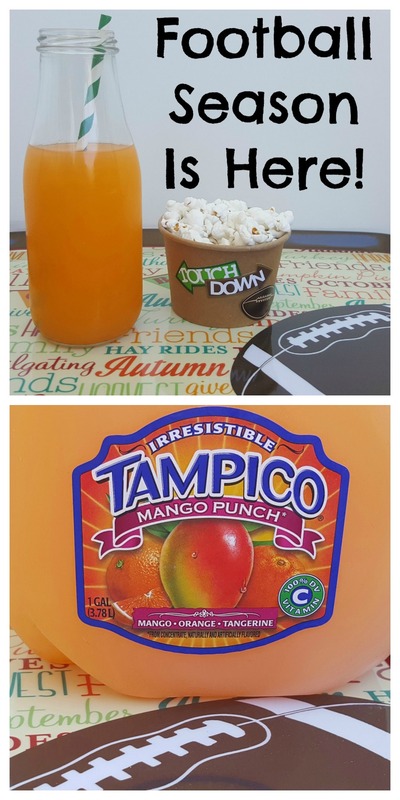 Popcorn and Mango Punch Tampico were a great combo! After our snack we decorated some picture frames. Since Jacob plays football we will use these to display pictures of him on the fridge. For this craft all you need are some colorful cardboard frames and foam stickers. Once you decorate the frames with the stickers you can add a magnet on the back so that you can hang your picture frame on the fridge. 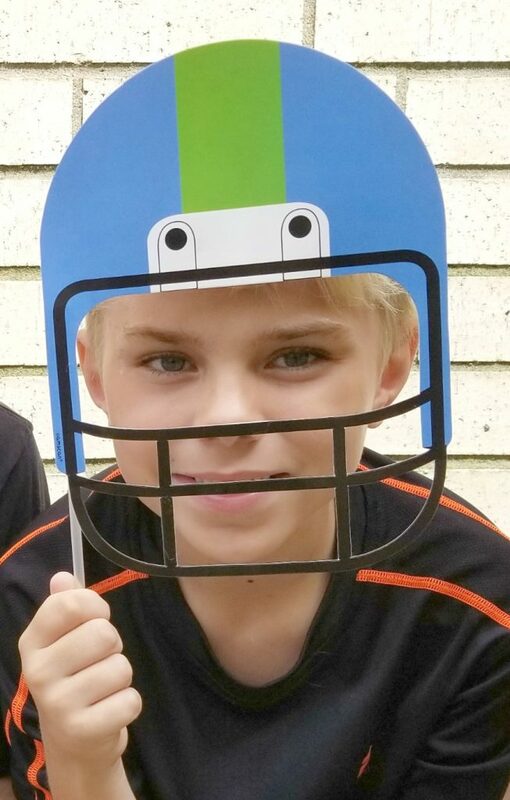 You can then put a picture underneath the frame- either one of your child in their sports uniform or one of your family at your favorite team’s game. I decided to make a frame as well and decorate it with some scrapbook stickers. I made Jacob one that said “Football MVP”! I love spending quality time with my kids while we craft. The last thing we made was a paper chain garland. I found some sparkly glitter paper garland pieces that were pre-cut into strips but you can easily cut strips of paper to make some. 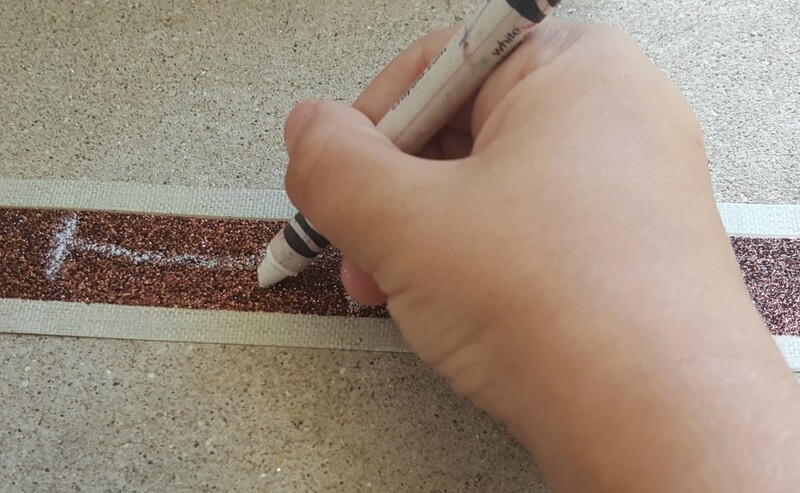 On the brown colored paper just use a white crayon to draw on some football “laces”. You’ll then use tape to form loops and make a chain. Once your chain is complete you can hang it anywhere you’d like! We are going to hang our chain garland from our mantle under the television. 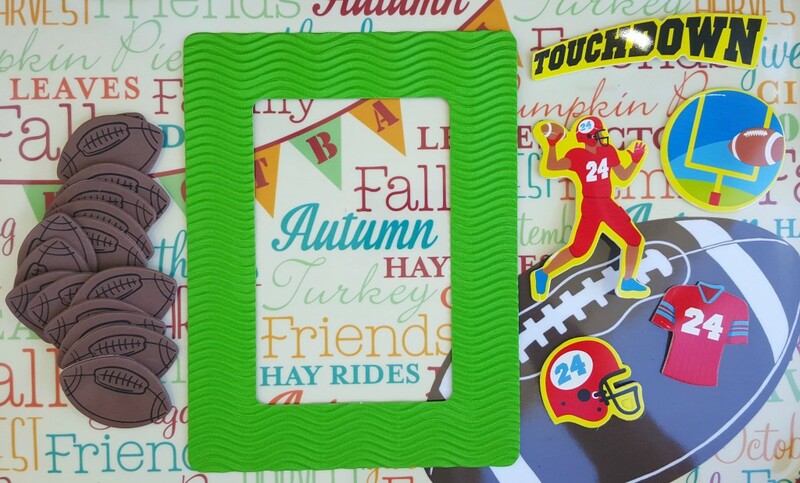 It’s the perfect decoration because it mixes colors of Autumn with our love of football. 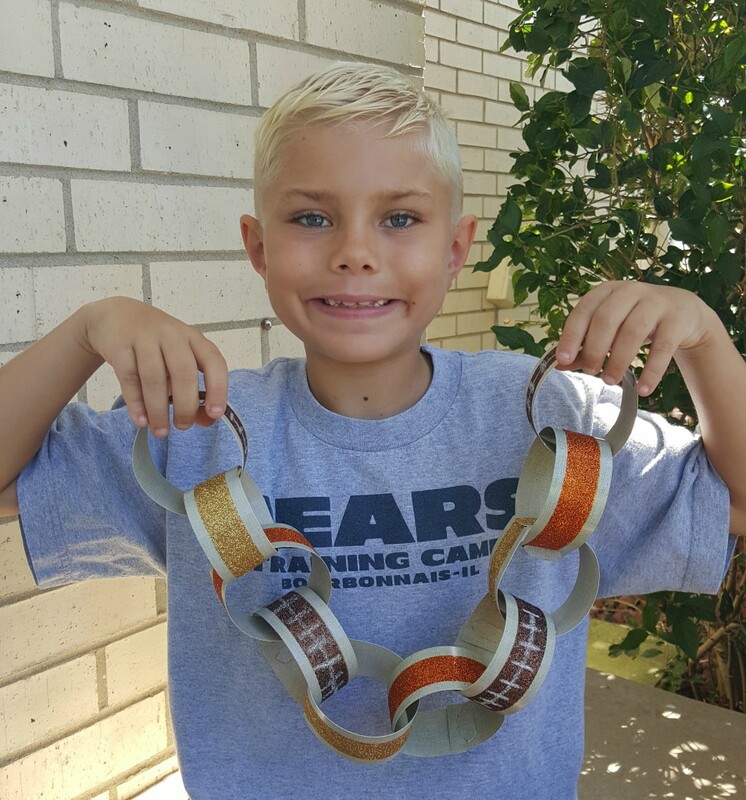 What crafts does your family make together to celebrate your favorite sports season? 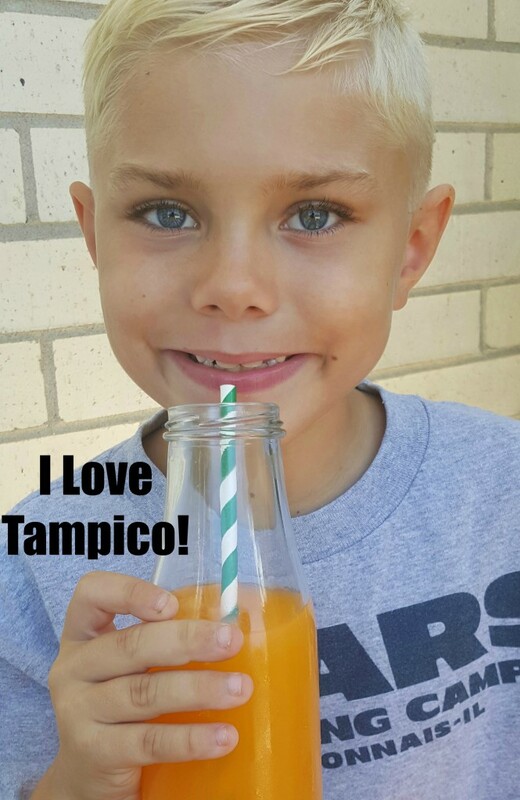 When you are at the store buying your supplies for your crafts make sure to pick up Tampico juice drink for your family to enjoy while you are creating memories together! Thanks to Marshalls for sending me a gift card to do some back-to-school shopping. When shorts weather came around a few months ago, Jacob began to ask if he could wear basketball shorts as opposed to the jean shorts and plaid shorts he normally wore. Almost every day this summer he wore athletic shorts with his camp shirt or another t-shirt. He loved how comfy they were and that he didn’t have to change in the afternoons for sports practices. While shopping for back-to-school clothes, I decided to head to Marshalls to find him some more seasonal appropriate athletic wear now that the cooler weather was coming. Though he will probably wear jeans to school most days, I wanted to find some athletic looks that were nice enough for school and that he could easily wear to baseball or basketball practice. I found some great pants, hoodies, light jackets, t-shirts and even gym shoes. I loved that the athletic brands were all available at a significant discount at Marshalls. Disclosure: I’m proud to partner with MinuteClinic as part of their Back to School #GoBackHealthy campaign. As part of my involvement, I have received sponsorship from MinuteClinic for my posts and activities, but all opinions expressed are purely my own. The end of August means back-to-school season and also the beginning of the fall sports season! The boys start school Thursday and Jacob just had his first football game this afternoon. If you have a child playing sports this fall, read on for tips on how to prepare for the season! First, find a sport that fits your child. I wrote about this recently when I shared about enrolling Lucas in gymnastics. It took us a while to find a sport he enjoyed, and we had to try numerous other ones that weren’t a good fit, before he discovered his love of gymnastics. Once you find a sport (or sports) your child wants to try, it’s important that they get a sports physical to make sure they are healthy enough to do the activity. Many fall sports, including football and soccer, are extremely physically demanding and it’s essential that they are given the okay to participate by a doctor. Even if your state or school doesn’t require it, sports physicals are still good to do because they also help to keep immunizations up to date and provide an opportunity to discuss any concerns you may have. (Remember though that the sports physical doesn’t replace a child’s annual wellness physical with their doctor.) 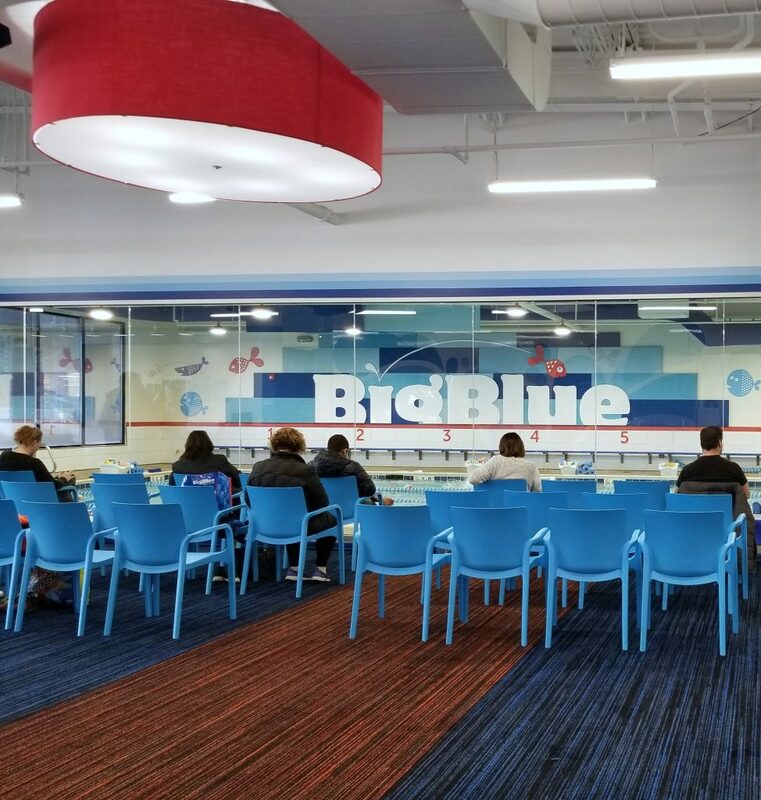 MinuteClinic, the walk-in medical clinic inside select CVS pharmacy and Target stores, offers sports physicals every day with no appointment needed for patients 18 months and older. They can even stamp any paperwork your school or league may require. After getting the okay to participate it’s time to get everything your child needs to participate in the sport. Most leagues should have a list of what you need to purchase and what they will provide. If you have questions about things you can search online or ask your mom friends who have been there, done that! I remember when Jacob first started sports, I had to google the difference between baseball cleats and football cleats because I had no clue which ones were the right ones I needed to buy. Along with the sports equipment there are a variety of other things you’ll want to keep in your car during sports season. Things like blankets (it gets cold out there in the evenings) and extra equipment (Jake’s football mouth guard always seem to go missing at least once a season) are important to have on hand. You’ll also want to pack snacks and provide plenty of fluid for your child so they stay hydrated. What tips do you have for preparing for fall sports season? If you need to get your child a sports physical they are currently offering $10 off at MinuteClinic. Their walk-in-clinic is ideal for busy moms because you can get in and out quickly any day that is convenient for you. While you are there you can also get a variety of other services including your child’s back-to-school vaccinations and acne treatment. Vaccinations for Meningitis, Pertussis and HPV are available. MinuteClinic practitioners will review information about the vaccine, administer it and then provide you with a summary, receipt of vaccination and educational materials. They’ll even send a summary of the visit to your child’s primary care provider if you would like them to. MinuteClinic also offers acne treatment which is perfect for tweens and teens who want to head back to school with clearer skin. They offer personalized consultations and treatment recommendations for all ages, whether a prescription is needed or you are just looking for which over-the-counter medication will clear the acne. When it comes to starting the school year and fall sports season off healthy, MinuteClinic is the place to go! This is a sponsored post through SheSpeaks for P&G. About a year ago, Lucas told me that he wanted to try gymnastics. 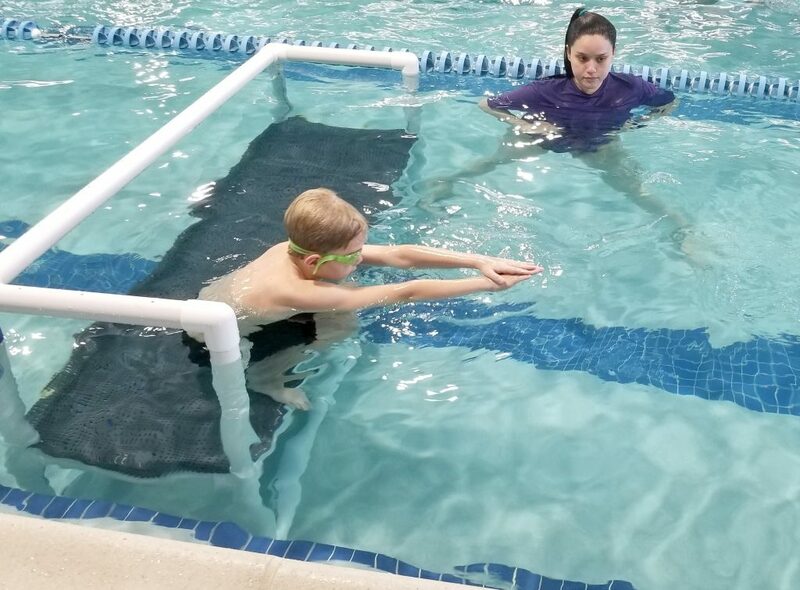 Since we had tried a few different sports that just weren’t the right fit for his special needs, I was excited that he wanted to do gymnastics and enrolled him in our park district’s gymnastics class. 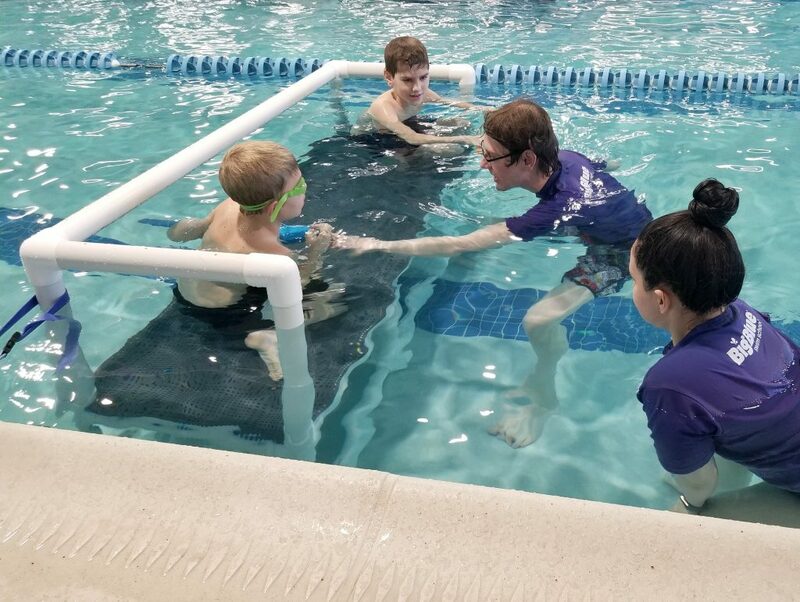 The park district provides an inclusion aide for him so he can participate in any programs they offer which lets him try different sports and activities he chooses. The first day he walked into the huge room with all that equipment and space to move I have to admit that I was anxious to see how it would go. My son amazed me though. I was proud to see how well he focused and participated in the different skills they were practicing. Turns out he has found his sport and he loves it! His favorite things to do in gymnastics are the high beam and the bars. Always a bit of a daredevil, this does not surprise me! Watching him walk across the balance beam earlier this week I noticed that with every lesson he gets stronger and more confident in his abilities. It’s so great to see him working hard at something he loves. Sometimes he gets upset when he is struggling to learn a skill, like a cartwheel, but I encourage him to keep practicing and not get upset when he can’t do something. We’ve enjoyed watching The Olympic Games this past week and I have used them to remind him that all of the athletes he sees have practiced for years to get where they are. Gymnasts like Gabby Douglas and the rest of the USA women’s gymnastics team are amazing and Lucas dreams of being able to do all those skills some day! I’m proud to partner with P&G because they are powering the dreams of athletes everywhere by supporting Team USA. From paper towels to shampoos to razors, P&G makes a variety of items my family uses on a daily basis and all can be found at Walmart for an everyday low price. I love their Venus line of razors, including the Venus® Swirl Razor because it helps capture what other razors may miss. Designed with FLEXIBALL™, a water-activated MoistureGlide™ serum, and five individually adjusting Contour™ blades, it leaves me with flawless skin, long-lasting smoothness, and virtually no missed hairs. Throughout ten months of the year most of my evenings and weekends are spent cheering on my kids at their various sports- from the baseball diamond to the football stands to the soccer fields to the basketball court, and even at karate, swimming and gymnastics. If there’s one thing I have learned as a sports mom it’s that I need to be prepared for anything. Spring sports are wrapping up for us but Fall sports season will be here before you know it so I wanted to share this list of sports essentials with you so that you have it as you shop for back to school items this summer. Thanks to BODYARMOR for sponsoring this post. Below you will find the list of items that I feel are essential for sports parents to have. I normally keep most of these items in the back of my van during sports season because you never know what you will need. It’s also helpful to keep most of the items in there so you don’t forget anything important as you run out the door to practice or games. If you buy a small basket or bin to keep all this in it’s easy to find what you need when you need it and to take out if you have to. Uniform & Gear – Check your child’s league to see what is recommended when it comes to clothing, shoes and gear. Different sports have different cleats, there are different size soccer balls for different ages, some baseball teams require a face mask and some do not, etc. Also, each sport differs in what is provided. Some may provide the whole uniform while others may provide the jersey but you have to buy the pants. It’s always best to check out your leagues website and talk to the coaches before you go shopping. Snacks – Snacks for both the player and the family are something you are going to want to pack, especially if you have younger children that will be sitting with you. Most of the time the player will just eat something at the end of the practice or game but the family may get hungry while they are sitting there. I typically bring a variety of snacks, including pretzels and animal crackers, in small ziploc bags. Extra Equipment – It’s always handy to have extra equipment on hand. One thing I’ve found we’ve had to replace mid-game or practice are mouthguards for football. Other things to keep an extra of include baseball mitts, goggles for swimming and shin guards for soccer. Sports Drinks – Replenishing sports drinks for your player are essential, especially on warm days. I like to bring at least one bottled drink per hour my kids are playing sports and two drinks for every hour if they are playing outside in hot weather. One sports drink we recently started having Jacob drink during games is BODYARMOR, a premium sports drink with more potassium packed electrolytes, coconut water and vitamins. It has natural flavors, natural sweeteners and no artificial colors, unlike traditional sports drinks. It’s a great choice for young athletes especially, who don’t need all the extra sodium in their diets or the artificial ingredients that come from drinking other sports drinks on the market. BODYARMOR can be found in a number or retailers including Jewel, Meijer and Target here in the Chicago area (find a coupon here) and comes in 8-great tasting flavors: fruit punch, orange mango, strawberry banana, tropical punch, lemon lime, mixed berry, grape and blackout berry. Jacob’s favorite flavor is blackout berry. First Aid Kit – Cuts and scrapes are bound to happen on the sports field so it’s always handy to keep a first aid kit on hand. Stock it with bandages, gauze, medical tape, antibiotic ointment, cold packs and tweezers. Sun Protection – If you will be outside in the sun for any amount of time don’t forget the sunscreen. 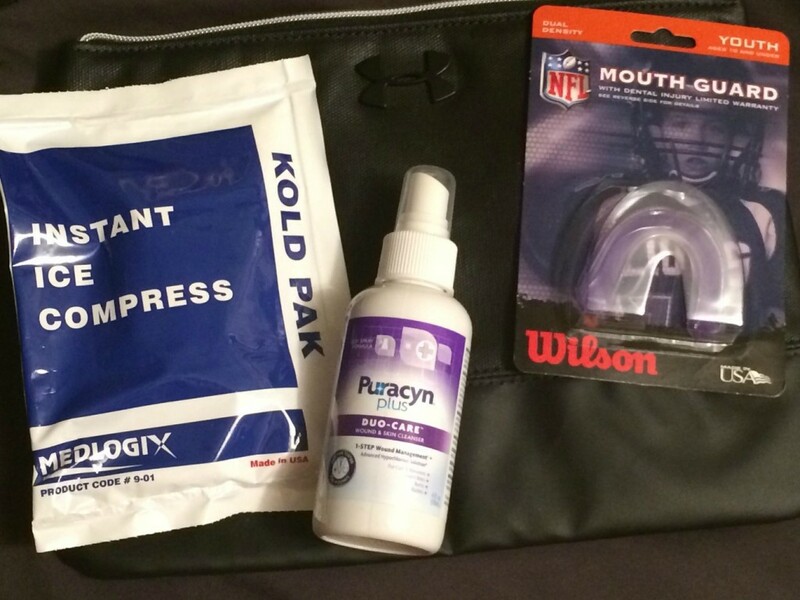 You’ll want to put it on your player (and yourself) before the game or practice starts and then reapply it as needed. For parents, an umbrella or pop up tent you can sit under can also keep you out of the sun and cooler on hot days. We bought a small pop up tent from the store that our younger child could sit under during games to keep him in the shade. Extra Layers – I’ve learned from experience that it’s always important to carry extra clothes in the car because the temperature can change quickly as the day goes on. Numerous times it’s been warm and sunny and everyone was wearing shorts and then by the end of the game everyone had coats on and were trying to stay warm. I like to have a long sleeve undershirt for the player along with sweatshirts and coats for everyone in the back of my van just in case we need them. Blankets – Blankets are helpful to have to keep warm on colder days but also can be used as a ground cover which is especially helpful when the ground is wet or muddy. I’d suggest bringing two blankets and making sure one of them has one side that’s weatherproof so if you put it on the ground the moisture won’t soak through. Cooler – On warm days you’ll want to store your player’s drinks (and your’s too!) in a cooler to keep the drinks cold. Chair – Whether it’s a camping chair or a folding chair you’ll want to have a chair to sit in. Don’t count on there being bleachers everywhere you go because some fields might not have any and you don’t want to have to stand for hours. I hope this list helps you prepare for and enjoy your child’s sports season! What would you add to my list? With two boys I always have tons of laundry but during Spring and Summer they seem to make double or even triple the normal amount of dirty clothes. Last week started baseball and soccer season which means we are outdoors almost every day of the week now and I’m noticing the pile start to grow already. Between sweaty clothes and sports uniforms they go through multiple outfits a day. 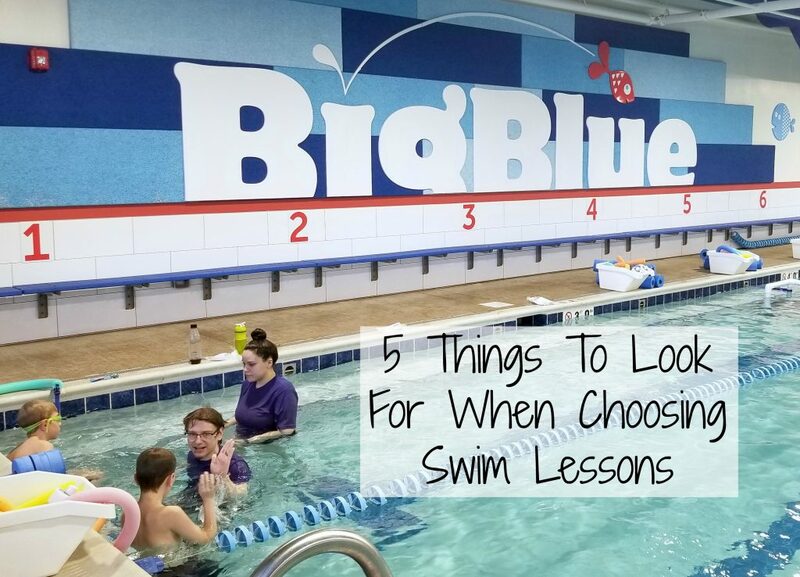 On days they have swim lessons add some wet clothes, bathing suits and more towels. Muddy practice fields? More dirty clothes. I already feel behind on laundry constantly (that’s motherhood right?) so if this pile gets much larger I may not be able to find my kids anymore lol. Not only did I worry about their clothes on the field but I learned I needed to relax a bit when they were crawling around in the grass, too. There is not a day Lucas comes home from school with clean jeans. His pants always have dirt or grass stains on the knees. It’s okay though because I discovered a secret product that fights tough stains for me- all® free clear detergent! I know that my laundry detergent delivers a powerful clean and will make their clothes look as good as new once washed. So I let my boys wrestle in the grass and play in the muddy fields because they are only young once. These times of mom letting them enjoy messy play will be special memories they will carry with them to adulthood and hopefully a tradition they will carry on with their own kids. Is it time for you to let your kids be kids? If you still have reservations I understand but let me help ease your worries…. First, head to the store and stock up on some good detergent. I like all® free clear detergent because it is the #1 recommended brand by dermatologists, allergists, and pediatricians for sensitive skin. It’s hypoallergenic and clinically proven to be gentle on skin which is important to me because Lucas especially develops skin rashes really easily. I’d suggest going to Sam’s Club and getting the bulk container of all® free clear Mighty Pacs® because you are going to want enough to last all season long! I follow the directions on the label and use one pack for normal washes and two packs for heavily soiled washes (you’ll want to make sure you don’t use too much in a load). Once you have your detergent give it a try and take your kids outside for an afternoon. Every time you want to yell “watch that puddle!” or “stay out of the mud!” just take a deep breathe and take a photo of the fun your kids are having. Better yet? Join them! You’ll be so busy having fun that the laundry will be the last thing on your mind! So will you join me in letting go of the stress and embracing the freedom to be the mother you always dreamed of becoming? The one that lets kids get messy and have fun without worrying about the dirty clothes pile? I hope so! 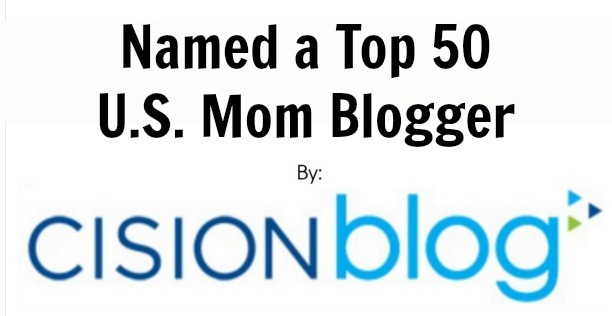 To further inspire you I encourage you to read stories from other parents here. We made it through another busy football Sunday. We raced out the door this morning at eight, went through the drive thu for some caffeine, and got Jake to his pre-game practice just on time. By the time the game was starting Lucas had found a friend to play with and we had great seats on the sidelines. Not more than half way through Jacob’s game and Lucas was already hungry. We gave him a choice of apple slices or pretzels to dip in peanut butter and he chose pretzels first but then changed his mind and picked apples- well really, just the center of the apple slices, and then proceeded to hand peanut butter coated leftovers to me. Once his tummy was full he was back to his game of tag with his friend and Jake’s game was in the final minutes so my focus was back on him. I like watching him play and seeing how much his skills have grown over the past couple years. Once the game was over we let the kids play on the playground for a few minutes while I got lunch out of the car. The kids had Uncrustables® Sandwiches, Smucker’s® Fruit-Fulls® Blended Fruit, cheese crackers and juice boxes which I bought from Walmart, our “SNACKATION” destination. Everything was easy to grab on our way out the door and eat on the go. The Uncrustables® were frozen when I put them in the bag but by the time lunch rolled around they were ready to eat which was great and the peanut butter gave them the energy they needed. Within ten minutes we were back in the car and headed to Luke’s game which was at a field across town. I really love it when they are on the same field but that’s not usually the case. After we got there and unloaded the car again I was ready for a nap but it was time for more football. 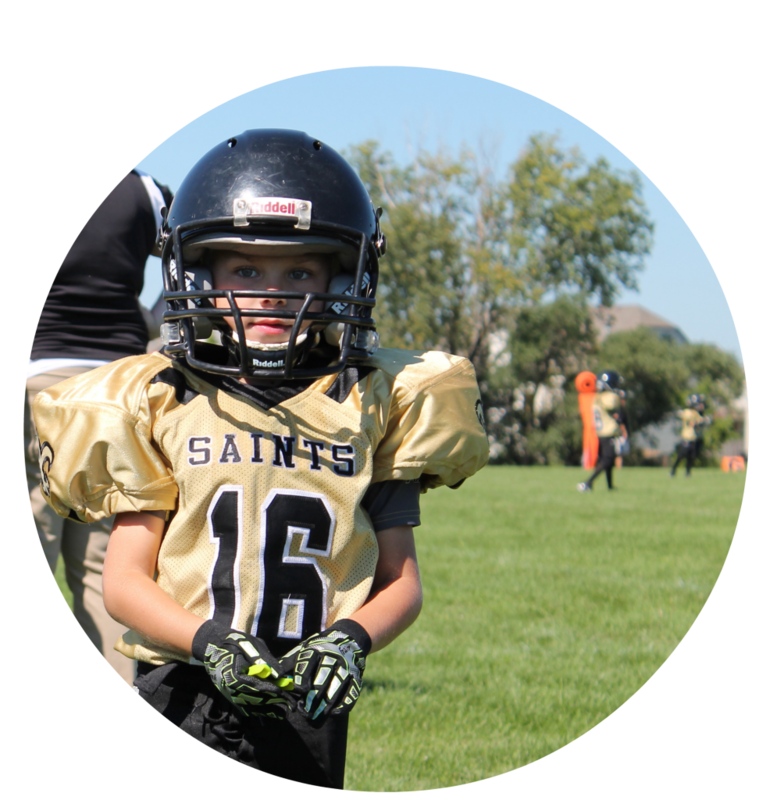 This is Luke’s first year playing football and our experience at his games are a lot different. There is a lot more confusion on the field and it’s pretty entertaining. Some of the kids even run the wrong direction (Lucas included). While watching Lucas play, I had to also keep an eye on Jacob who stayed busy playing catch with some of the older kids. At the end of Luke’s game both were exhausted from running around and it was time to eat again. At this time I was very happy I stocked up on their favorites at Walmart because these boys eat a lot. (And yes, I know they are just going to eat even more as they continue to grow!) Once they were fueled up with Smucker’s® snacks they were ready to go conquer the rest of the day. Sundays during the Fall for our family mean one thing- FOOTBALL SEASON! Not only do we love to watch it but my children both play on youth football teams. We love our busy schedule but some days Sundays can get a bit hectic and challenging. There are days when we juggle and everything seems to be done in a time crunch so we spend a lot of time in the car. Most of our Sunday snacks and lunches are on the go because one kid has a game, then there is a few minutes for them to eat and then the other kid has a game. There is no time for a sit down meal so we rely on easy foods to keep us fueled. Two very helpful allies to us as parents in such times are Walmart and Smuckers. Walmart is our “SNACKATION” destination for all the busy sport Sundays. Not only do we love their low prices, but it is also convenient. When I went there to pick up extra mouth guards (because the boys chew on them) I stocked up on food for game day. We like to look for foods we can enjoy either in the car or on the sidelines. Smucker’s® is a great choice for all parents due to their extensive line of products that are both kid approved and made to be enjoyed on the go. From Jif ‘To Go’ Dippers to Smucker’s® Fruit-Fulls® Blended Fruit to Uncrustables® Sandwiches everything is easy to throw in the sports bag for Sunday funday. Add in something to drink, like juice boxes and water, and we are all set for our busy game day. 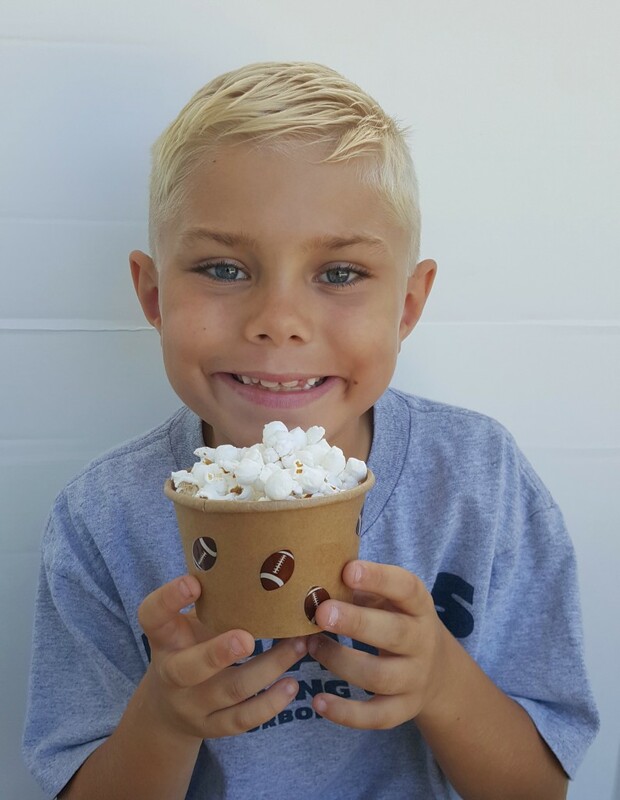 What snacks do your kids enjoy when you are on the go? One of my favorite ways to spend Saturdays in the warmer months is to watch my boys play soccer. They’ve played through our local park district, on a private league and are starting weekly indoor soccer classes next week. They love the game, especially when they get to score a goal. They also love the sidelines when they can cheer for their teammates and chat non-stop. As much as I love my kids playing sports, I don’t like the fundraising that typically comes along with it. For one of Jacob’s teams I had to sell 90 candy bars. Since I hate asking people for money they are all sitting in my fridge still (other than the five or so that I’ve already eaten). That’s $90 worth of money going out of my pocket and chocolate going on my hips. Seeing that kids, like my boys, get a lot out of playing soccer on a team, Ritz Bits wants to help keep leagues going by hosting a “Snack for Your Champion” program using PearUp. Ritz Bits is offering $1000 to teams in exchange for parents completing some online activities. That $1,000 can be used toward team apparel or can simply be a donation to the soccer team for team/league fees. What a great way to reduce costs so more children can play! Want to see how easy it is? You can support my team or create your own to raise money for apparel or league fees. One of my favorite places to be is on the sidelines cheering for my boys as they play sports. This summer Jacob was in baseball and both Jacob and Lucas were in soccer. Fall brings Jacob’s first football season. Sports offer many benefits including teamwork, responsibility, exercise and friendship. I hope that the boys continue playing sports for years to come. All of the great things that come from playing sports will become even more important as they head into elementary school and then into the teenage years. Since sports are not a solo activity, one of the main things the boys learn from being on a team is team work and how to get along with others. They can probably kick a ball down the field and score a goal themselves but it’s much more meaningful when they can share the win with a friend. On the baseball field, one person can’t cover all of the bases themselves, they have to throw the ball to a teammate. Another thing that the boys learn while playing sports is responsibility. They have to practice to get better and they have to make sure they are at practices and games. This is mostly the parents’ job right now but as the boys get older they will have to become more disciplined in making sure that they practice and arrive places on time so they don’t let their teammates down. Sports are a fun way to get exercise. Running is not something either of my boys enjoy doing but they have to do it when they play sports and then they don’t mind because it’s made to be fun. Running the bases while people in the stands cheer, running down the field after a player who has the soccer ball or running, football under the arm, gives the activity a purpose. As kids get older they tend to become more sedentary in front of video games and tv so it’s good that by their teen years they will already be used to regular exercise. Best of all, friendships develop while playing team sports. All those hours spent practicing and on the sidelines help the boys develop bonds with other kids. With delayed language and being on the Autism Spectrum, Lucas has not always formed friendships easily as he tends to sometimes be in his own world. This past season of soccer though, I really saw him come out of his shell talking with the kids on his team and laughing with them. This is the greatest thing that has come out of sports and I hope that as they get older they will continue to make new friends through the different teams they’re on. What benefits have you seen from your children playing sports? If you want more ideas of how to keep children active from childhood to their teen years visit Let’s Play.com. You can also find Let’s Play on Facebook, Twitter, Pinterest, and Instagram. The Winter Games are almost here and I’m excited to share some movie selections and a fun craft for preschoolers courtesy of Netflix (disclosure: I am a member of their blogger “Stream Team”). This will be the first year that my boys will watch some of the games and I am excited for the occasion. I remember following the Olympics when I was younger and enjoyed watching with my family so it’s a tradition I want to keep. I thought this article from Common Sense Media had some great talking points to consider when watching the games with children. The article above says that watching sports “can be a great chance to point out how everyone’s contribution is key to a team’s success.” For younger kids it’s as simple as pointing out how the “athletes show their support for each other and also how they handle winning and losing.” All five of these movies I’m sharing about today help encourage conversations about inspiration and teamwork. My boys love Bob the Builder so I’m really excited to cuddle with them on the couch and watch Bob the Builder: The Bobblesberg Winter Games before watching some skiing and ice skating with them. How about a craft, too? I love these Sportsmanship Metals! Find the directions here. Do you have someone in your life who loves the outdoors? I have some great gift ideas for them! 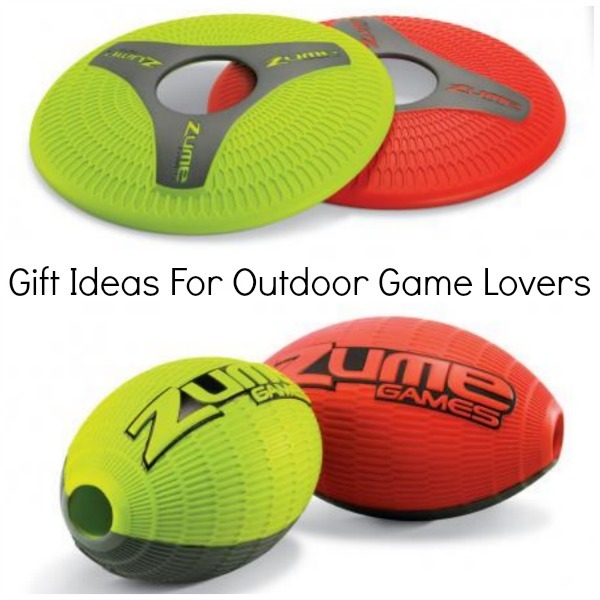 Escalade Sports, a national leader in recreational sporting goods, has a line of outdoor games called Zume Games that put an innovative twist on traditional outdoor games. Zume Games are portable, easy to play, durable and designed for safe play. The instant tennis match you can play almost anywhere. TENNIZ is ideal for building skills and having fun. Perfect for kids and beginners or family recreational play, TENNIZ is lightweight, portable and features ultra-quick setup. TENNIZ comes complete with two 21-inch rackets, 2 TENNIZ balls, 12-foot net and convenient carrying case. TENNIZ is suitable for ages 8+ and is available for purchase online at Amazon.com and Zume-Games.com. SRP: $79.99. DIZK is a super-tough, soft-touch, great-grip flying disc featuring a unique design to help it fly, float and flex like no other. Its center hole creates more ways to catch and its versatility makes it great for perfecting those flying disk tricks. DIZK is suitable for ages 6+ and is available for purchase at Sports Authority, MC Sports, Sports Chalet and online at Amazon.com and Zume-Games.com. SRP: $14.99. TOZZ is a soft-touch, great-grip football that was made to grip it and rip it, allowing you to get more out of your arm. Its center aerodynamic air tunnel helps create an amazing spiral on every throw. TOZZ’s easy to launch, easy to catch design is suitable for ages 6+ and is available for purchase at Sports Authority, MC Sports, Sports Chalet and online at Amazon.com and Zume-Games.com. SRP: $17.99. Don’t those all sound like so much fun!? Saturdays = soccer game days in our household this Fall. The boys both play in the same league but different age groups. I was so proud of Jacob who was player of the week last weekend! The boys played a short basketball session this summer through the park district. It was the first time either of them had played basketball. This past weekend they got little trophies since it was the last day. Aren’t they the cutest little basketball players you’ve ever seen? For over a year I have been trying to develop a system for organizing all of our sports gear and clothing. I created a space near our front door since our home is small and that’s what worked best for us. I had been using some hooks, a laundry basket, and a tin basket to keep everything organized but it just wasn’t working. When I was contacted to review a Rawlings Flexible Sports Organizer I thought it would be a great help for storing some of the smaller items that always found their way throughout my downstairs. I have been using the Rawlings organizer for a few weeks now and it has really helped keep everything in one spot. With sports 5-6 days a week this Fall I wanted to share how we are staying organized and what works best for us. What’s hanging: I love the over the door hooks. I found this one at either Walmart or Target. I hang the baseball bag up top. The Rawlings organizer is made to be hung on the wall but since i don’t have much wall space I have it hanging off the hooks on our coat closet. I love how sturdy this organizer is and how many pockets and spaces to put everything it has. We keep our balls, sports socks, extra bats, shin guards, water bottles, and extra cleats (for out of season sports) in it. On the wall I have a coat hook where we hang up the sports jackets and, in winter, the kid’s winter coats. What’s on the table: I use an old side table to hold a variety of other items. The white basket has all of the sports clothing in it. We used to have all of their clothes in their bedroom closet upstairs but it was just a pain to find everything we needed mixed in with all of their other shirts and pants. No more wondering where the uniform shirt is or missing soccer socks. Everything is washed and put into this one small basket so when we are getting ready to run out the door I have quick access to what I need. In the tin container next to it I have cleats. I keep the soccer bag here, too. Do you have all of your sports gear organized or can it be found around your house and garage? If you want to create a sports nook of your own you are in luck because I am giving away a Rawlings Flexible Sports Organizer to one of my lucky readers! Organizing sports equipment and outdoor gear can be a challenge. Kids’ balls, bats, gloves, helmets and sticks can create an obstacle course, taking up valuable space in the mudroom, hall closet or garage. Throw clutter a curveball by using the new Rawlings Flexible Sports Organizers. Available in three varieties with roomy ball caddies and vertical mesh compartments with hooks and cinches to store all kinds of gear, these vertical smart storage solutions can hold up to 25 lbs. of equipment. The Rawlings Flexible Sports Organizers are made of mildew- and abrasion-resistant durable vinyl and mesh, making them as perfect for the garage or shed as for the basement or closets. Giveaway ends September 6, 2013 at 11:59pm Central time. Must be 18 or older and a US resident to enter. Calling all Chicago Cubs fans!! 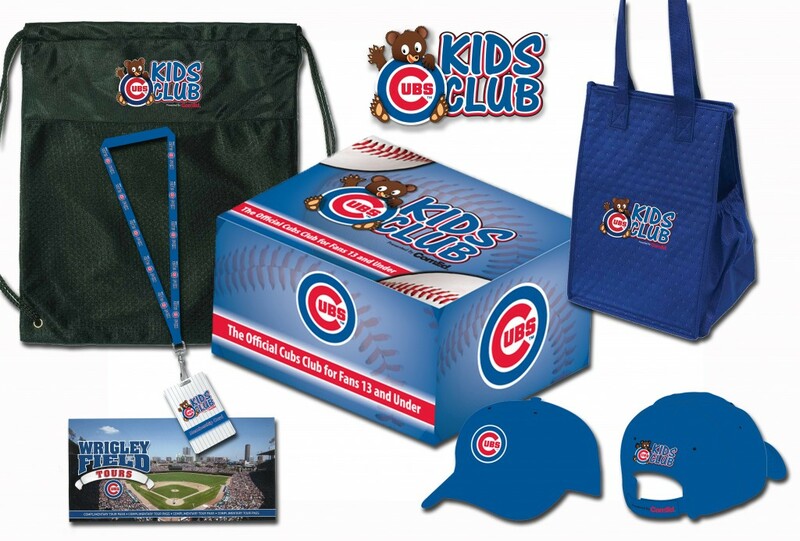 I am so excited to be working with the Chicago Cubs to offer a giveaway of their Kid’s Club membership. I loved being on the field and I know the little one in your life will love the chance to tour Wrigley Field and run the bases themselves. A Kid’s Club membership is valued at $20 with a $2 convenience fee and a $6 shipping per membership. More information can be found here. We want to hear or see why your little one should win! You can leave a comment below telling us, tweet us, or share a picture of them in their Cubs gear on instagram or pinterest! For an extra entry, share the giveaway on a social network! Giveaway ends August 10, 2013 at 11:59pm Central time. Must be a US resident ages 18 and older to enter. Winner will be chosen at random. Winner is responsible for all additional costs including travel to the game and parking. This past Saturday was the first soccer practice of the season and Luke’s very first time playing a sport. Last year he had to watch Jacob have all the fun so this year he was so excited to be able to participate. I didn’t get many pictures of them playing since they were far away. I’ll have to get some better ones next week.